Here is a summary of the lenses currently available, the known upcoming lenses, and some thoughts about future lens needs. 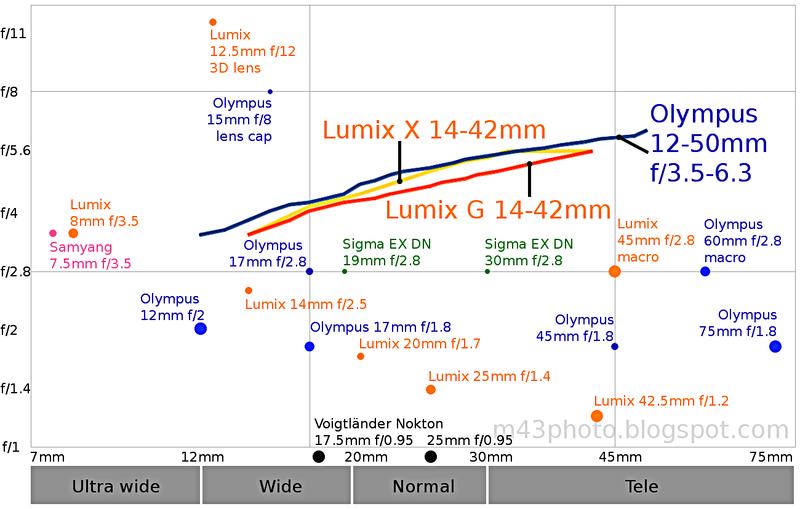 See also my Lens Buyers' Guide for Micro Four Thirds. This lens was originally designed for APS-C sensor DSLR cameras, for example in Nikon F mount. The lens costs about US$300. Late 2014, rumours emerged saying that the lens will also be sold with a Micro Four Thirds mount. 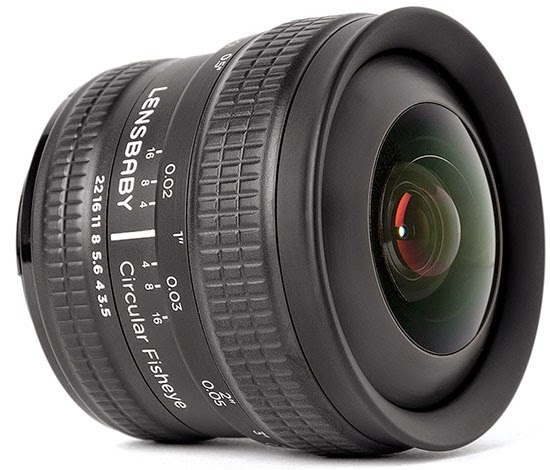 If it appears, it will be the first circular fisheye lens available for the format. The lens is not well suited for Micro Four Thirds adaption, though. The image circle is larger than the height of the sensor, which means that the circular fisheye image will get the top and bottom cropped. Which is not very nice. Besides, the image quality is rather poor. So I would not recommend this lens. If you are truly interested in a circular fisheye, I would recommend that you go for the Sigma 4.5mm f/2.8 for Nikon F mount and an adapter with an aperture lever. 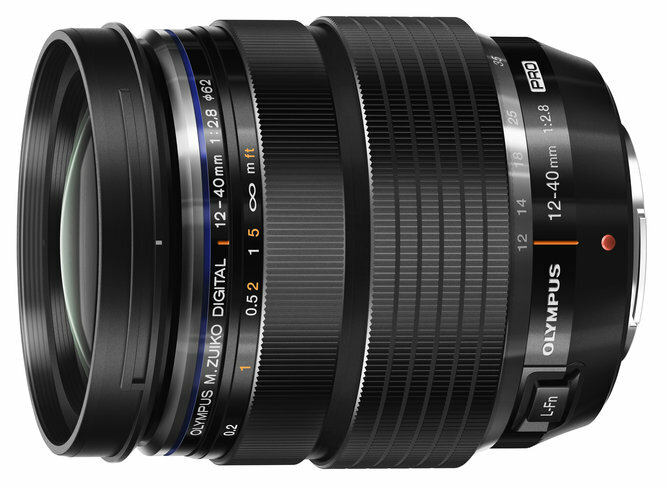 To be available in June 2015, after a long wait, this is the professional grade wide angle zoom from Olympus. 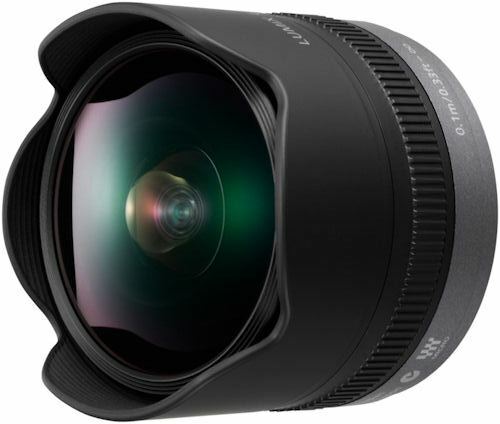 With a bright f/2.8 max aperture, weather protection, and at a relatively reasonable price, it is going to be popular with enthusiast users. An extreme wide angle zoom. It is the widest rectilinear lens for the Micro Four Thirds format. 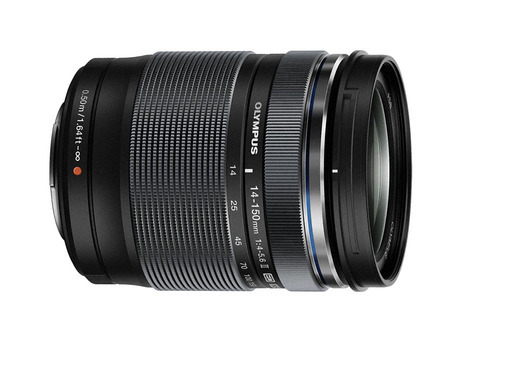 This lens is among the most expensive in the Micro Four Thirds lineup, and is popular for its very good sharpness. It has a hood built in, and you cannot mount a filter on the front, due to the curved front lens element. A third party manual focus full frame fisheye lens. Full frame, in this context, refers to the fact that the lens illuminates the full sensor image, as opposed to circular fisheye lenses, which only illuminate a disc inside the sensor area. This lens covers a 180° field of view from corner to corner. It is marketed under the names Samyang, Rokinon and Bower. 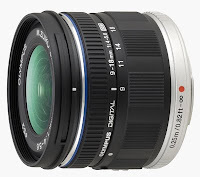 The Olympus 8mm f/1.8 fisheye is to be available in June 2015. 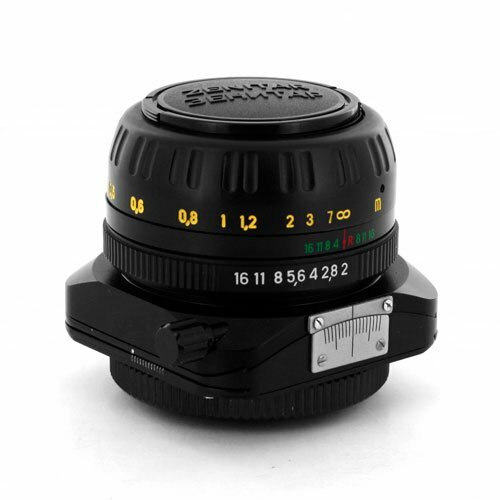 With a 35mm camera equivalent field of view of 16mm, this is a traditional fisheye lens, covering a 180° diagonal field of view, illuminating the whole sensor area. 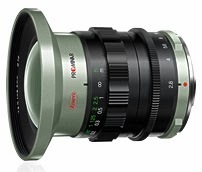 Japanese optical company Kowa is going to release this ultra wide angle lens in the summer of 2014. This will be the widest rectilinear prime (non-zoom) lens with a Micro Four Thirds mount. The brightness (f/2.8) is quite good for such an ultra wide lens. Launched in January 2014, the second body cap lens is a fisheye lens. As you can see from the picture, the lens is recessed into front, meaning that it is not capable of a 180° field of view, as you would expect from a fisheye lens. The field of view is 140°. This is a reasonably priced, compact ultra wide zoom lens. One of the reasons why it is compact, is the collapsible construction, much like the Olympus 14-42. When extended for use, it is much longer. This is a very wide prime lens with a fairly large aperture. It was designed exclusively for Micro Four Thirds, which allows it to be quite small and light. It has a 77mm filter thread, and a built in hood. 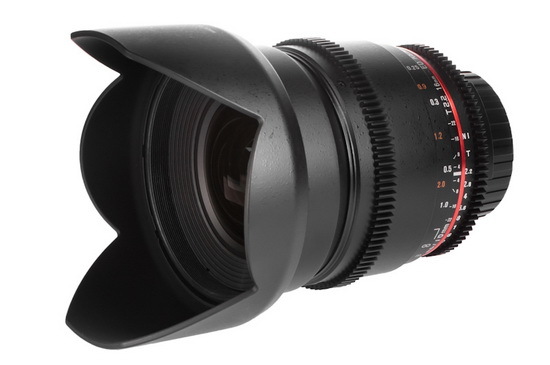 With the geared focus ring, and the geared aperture ring, it is well suited for movie making. The aperture ring is clickless, for smooth changes during video recording. 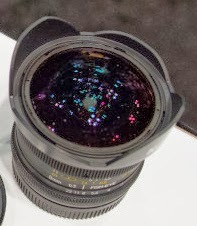 This lens, announced in September 2014, did surprise me. It is one thing to make an ultra fast normal lens, which there are many of. But to make an ultra fast, ultra wide lens is something totally different. And much more difficult. 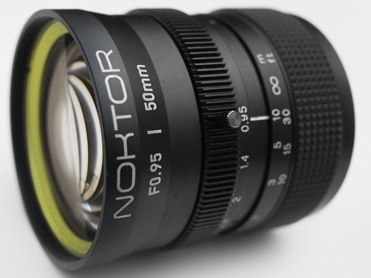 As you would expect, this lens is larger than the other Nokton f/0.95 lenses, and will probably also be more expensive. This lens can be a good alternative to buying the Metabones Speed Booster, in combination with a legacy wide angle lens. 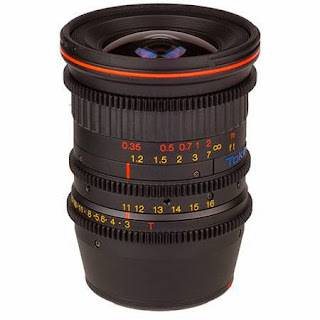 This lens is designed for use on APS-C DSLR lenses. The Micro Four Thirds version of the lens comes with an adapter built in: Notice the long tube behind the aperture ring. 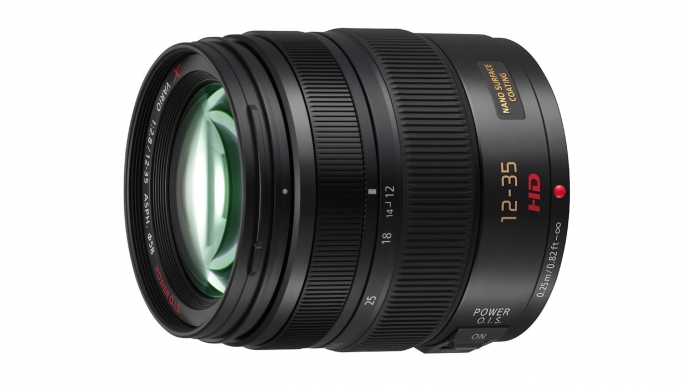 The lens retails at US$1900, which is a fairly high price. This price tag is due to the cine specifications: The aperture, zoom and focus rings are smooth, suitable for stepless changes during video recording. The rings are also geared, for use on video rigs. 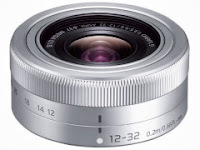 Panasonic Lumix X 12-35mm f/2.8 Power O.I.S. 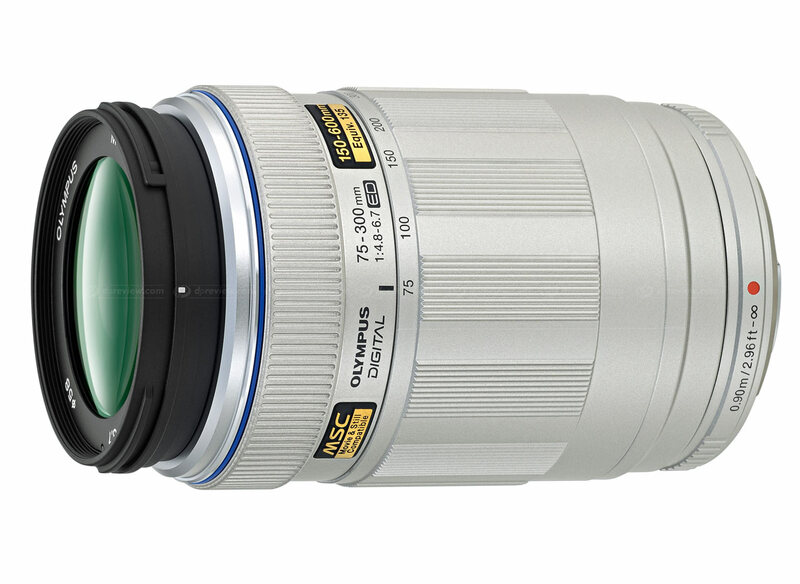 A high end standard zoom lens, with a constant max aperture of f/2.8. It was announced in 2012, and features weather protection. It corresponds to the traditional professional standard zoom, 24-70mm in 35mm equivalent terms. 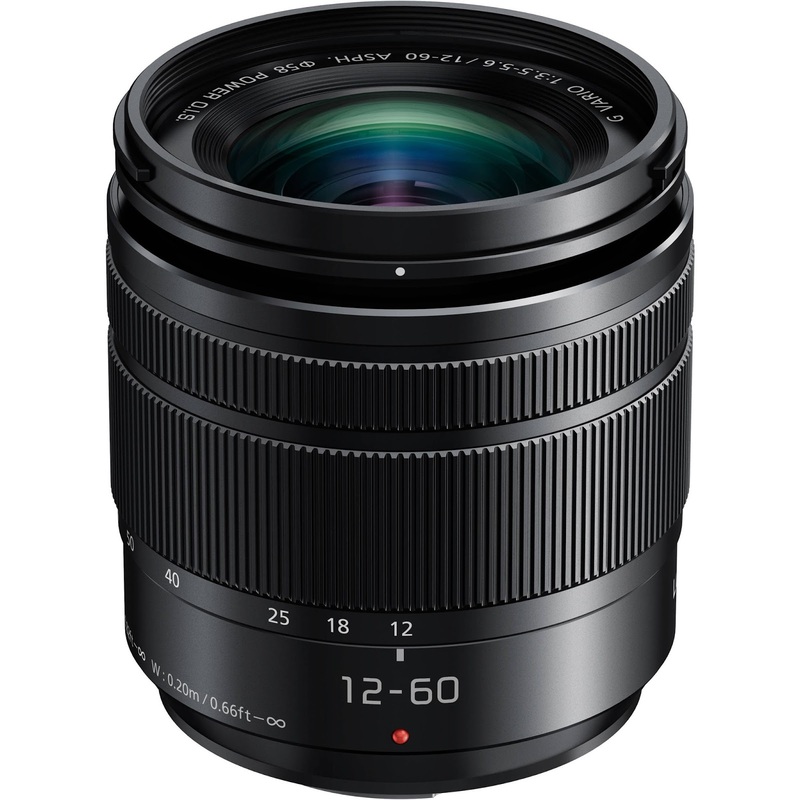 Announced early 2016, in a surprise move from Panasonic, this lens is to become a kit lens for medium to higher end kits. Some fans have been annoyed at "yet another slow zoom", but I think this lens makes a lot of sense. We don't have a lot of compact zoom lenses starting at 12mm. 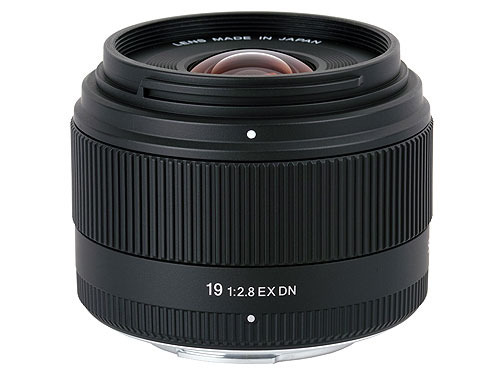 The 12-32mm does, of course, but it is quite short and may not be a real alternative for everyone. Many serious systems have 24-120mm equivalent zoom lenses, e.g., Nikon 16-80mm f/2.8-4 (for APS-C cameras) and Nikon 24-120mm f/4 (for fullframe cameras), and now we have one from Panasonic as well. This lens will probably be available as kit options for the upcoming Lumix GH5, G8, GX9, and other medium to higher end cameras. A high end wide prime lens. This is one of the few Olympus lenses with a focus scale. The focus ring can be pushed back and forth, to toggle between automatic and manual focus. 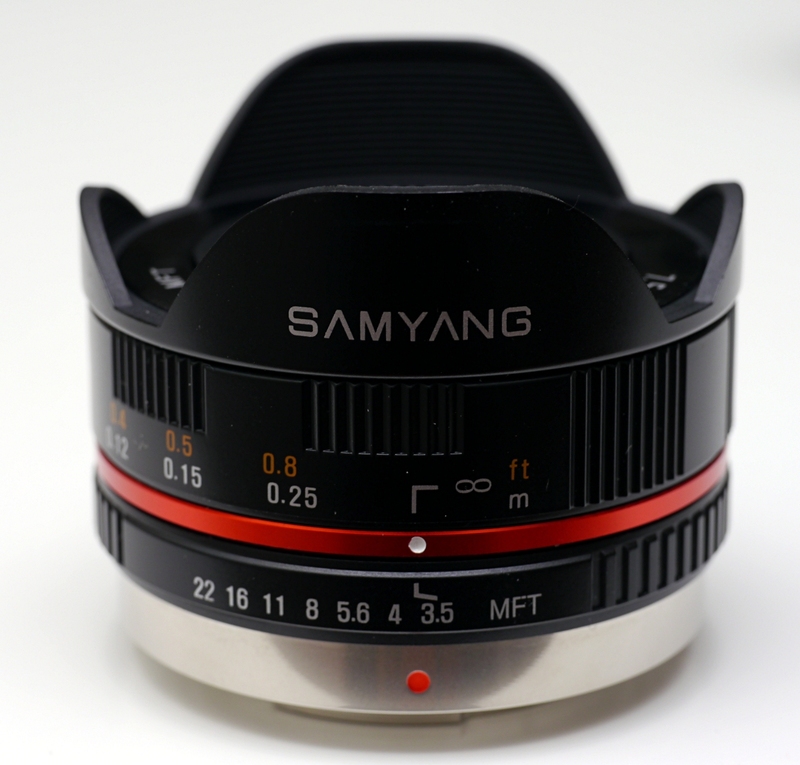 Unlike most of Samyang's wide lenses, this is designed for mirrorless cameras from the start. This makes the lens much smaller than, e.g., the Samyang 10mm f/2.8. Japanese optical company expects to ship this fast wide angle lens around the summer 2014. It is a manual focus lens. 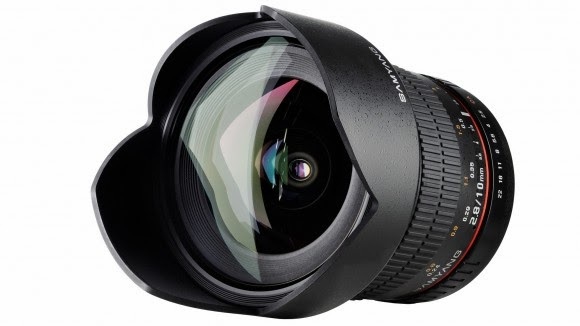 An exceptionally fast wide prime lens. It features manual focusing and has a manual aperture ring. A premium standard lens. It features power zoom, and is weather proofed, meaning that it can withstand some moisture. Both the zooming and focusing is internal, meaning that the length of the lens stays constant at all times. This is a useful feature, and makes the lens feel very solid. The lens is often disliked in online discussions, due to the very unimpressive maximum aperture, especially in the long end, f/6.3. However, I think the lens looks very interesting. At this time of writing, it is the only lens which combines a near ultra wide angle (24mm equivalent) and a portrait focal length (around 85mm equivalent). That, combined with the power zoom function and macro, makes it a very versatile lens indeed. For macro use, you would probably stop it down to at least f/6.3 anyway, so the aperture is not really a limitation. Launched together with the ultra compact Lumix GM1 camera, this is a collapsible wide angle zoom lens. Twisting the zoom ring to 12mm extends the front section, to make it ready for use. This is the basic kit zoom lens for sale together with the Kodak S-1, the first Kodak branded mirrorless Micro Four Thirds camera. The camera is made by JK Imaging, which owns the right for the Kodak brand name. The camera and lens appear to have a lot in common with previous equipment produced by Olympus, so I would guess there is some kind of licensing deal between them. 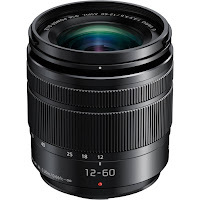 This lens may look interesting due to starting at 12mm, while most other kit zoom lenses from Olympus and Panasonic start at 14mm. 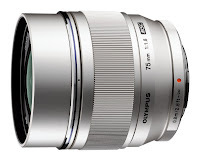 However, I would rather go for the Olympus 12-50mm f/3.5-6.3, which is most likely the better lens. The lens has two separate lenses for a 3D effect. 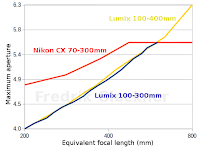 While the focal length of the two lenses is 12.5mm, they project two smaller images on the sensor, so the effective focal length is 65mm in 35mm equivalent. This means that in reality, this is a long normal lens. The lens has a fixed aperture of f/12, and a fixed focus from 0.6m to infinity. You could cover the electrical contacts of the lens, enabling you to use more of the sensor area, for larger resolution 3D images. This also enables video recording. 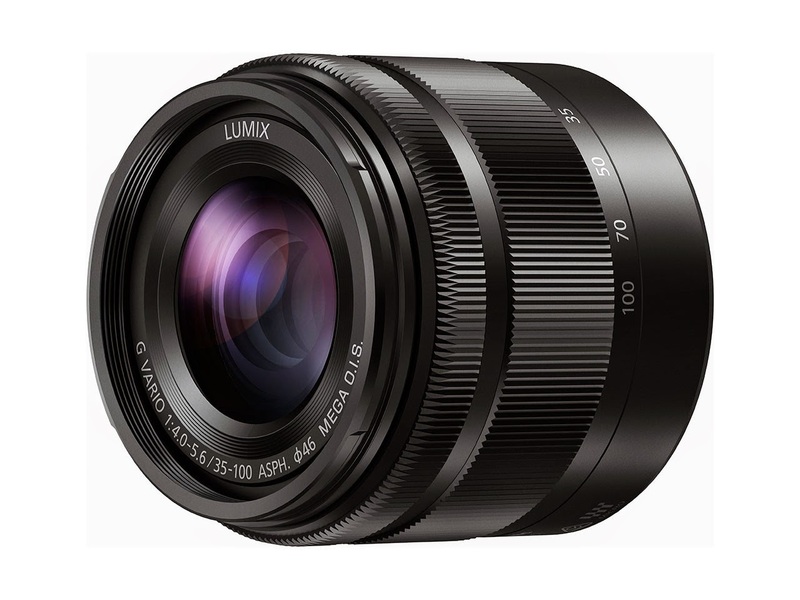 The second pancake lens from Panasonic, being even smaller than the original Lumix 20mm f/1.7. It is a traditional wide prime lens, covering 28mm in 35mm equivalents. The main benefits of this lens are the very fast and inaudible focus, the very compact size, and the good image quality. 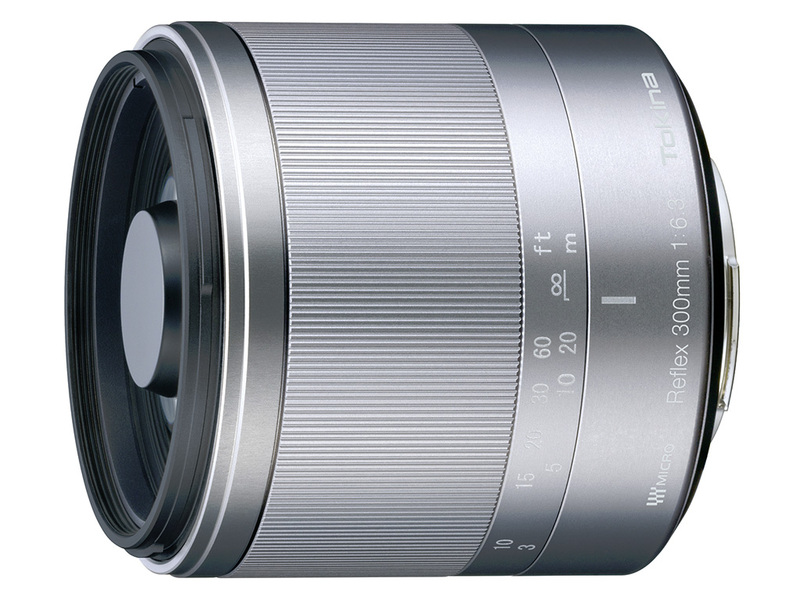 In 2014, a second version of this lens was announced, with a new exterior design to match the Lumix GM5 camera. Beyond the design change, it is the same lens as the first version. A basic kit zoom lens for the Olympus camera system. Most people don't buy this lens alone, but rather together with a camera as a kit. The lens is collapsible, taking up less space when not in use. The illustration shows the lens in collapsed state. It is approximately twice as long when ready for use. Launched in January 2014, this collapsible standard kit zoom lens is designed to be as compact as possible. 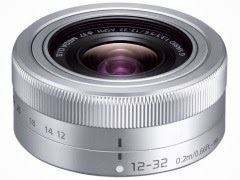 At a length of 23mm, it is even shorter than the Lumix X PZ 14-42mm f/3.5-5.6. A kit lens from the premium "X" range. It features power zoom, which can only be operated with the zoom lever. There is no zoom ring, and neither is there any focus ring. The lens must be extended (motorized, automatic) before using. When collapsed, it is remarkably compact. This lens is good for those who value the compactness, and the image quality is not as good as the non-collapsing zoom lens, in my experience. Comparison with the Sony NEX 16-50mm f/3.5-5.6, which also combines a pancake appearance and a power zoom function. It is a very impressive technological feat to cram all these features into such a compact lens. The basic kit lens offered with Panasonic G2 and G10. 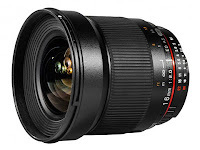 The difference to the 14-45mm kit lens, is that this one has a different optical formula, no metal mount, and no on/off switch for image stabilization. 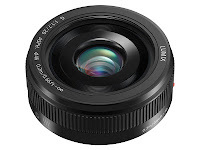 Panasonic Lumix G 14-42mm F3.5-5.6 II Mega O.I.S. This lens was launched early in 2013, for use as a kit lens with the new Panasonic GF6 and G6 cameras. It is smaller than the lens it replaces, the Panasonic Lumix G 14-42mm f/3.5-5.6 Mega O.I.S. (HFS014042). In terms of lens mount material, the lens appears to come in two versions: The lenses that are sold as part of camera kits have a plastic lens mount, while some that are sold in stand alone boxes have a metal mount. There doesn't appear to be any difference in the version number for these two varieties of the lens. 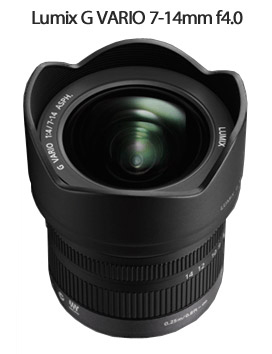 So far, the reports indicate that this is a sharp and capable lens in a small package. On the negative side, it appears to have a smaller aperture in the mid-focal-range. Read more about the lens here. The basic kit lens offered with Panasonic G1 and GF1. It has since been discontinued. This lens is generally considered very sharp, sharper than the predecessors Lumix G 14-42mm f/3.5-5.6 and the Lumix X PZ 14-42mm f/3.5-5.6. 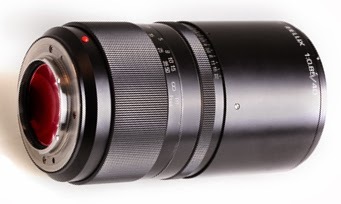 A video optimized superzoom lens, first only sold as a kit with Panasonic GH1, later available alone. I've found the image quality for still images to be somewhat lacking in the widest and the longest ends of this lens. For video, on the other hand, it is more than sharp enough. In 2013, a new version of this lens became available. 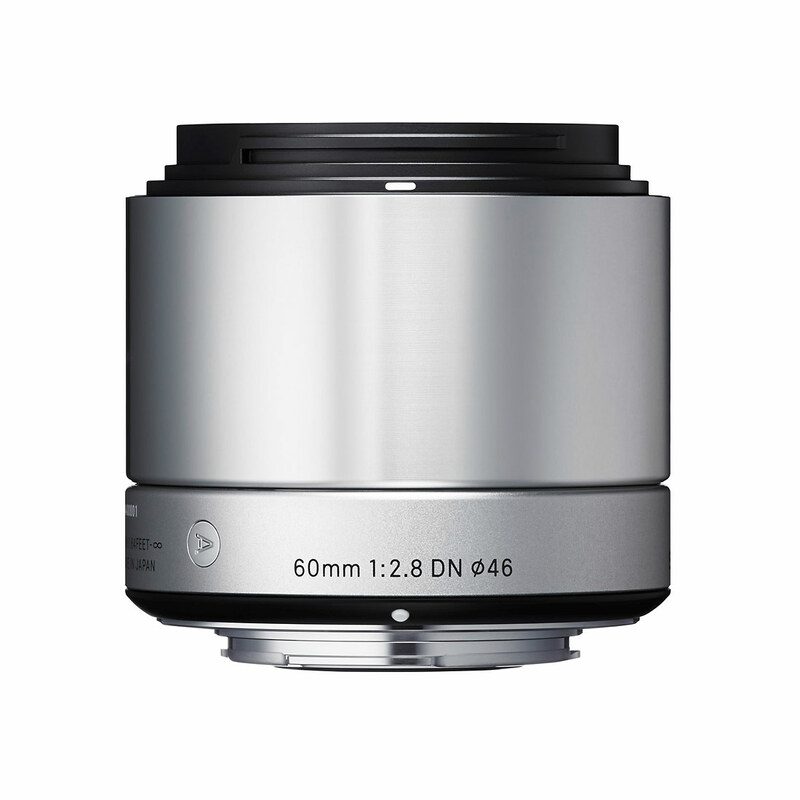 The new version is smaller, has a 58mm filter thread, rather than 67mm with the original, and a better aperture range. It is also cheaper. While I haven't tried it, it certainly sounds better judging from the specification. I have not been too happy with the first version of the lens. If you can choose, I would recommend getting the new version of the lens, see below. 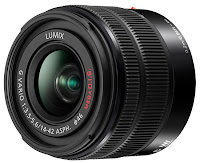 Panasonic Lumix G HD 14-140mm f/3.5-5.6 Power O.I.S. My review of the lens. Comparing this lens at 140mm with four other lenses. 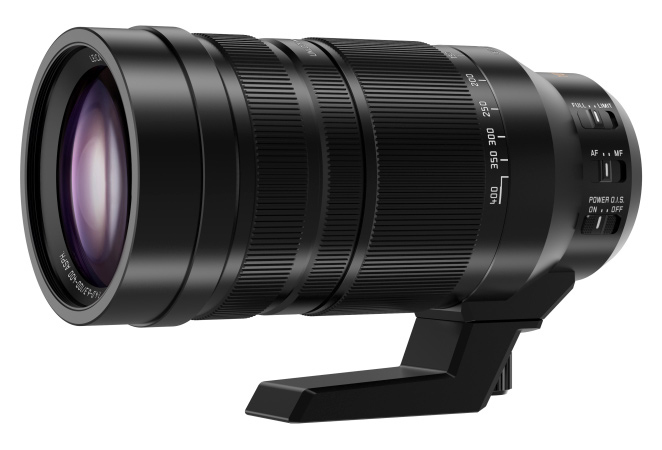 This is the new version of the Panasonic superzoom lens, introduced spring 2013. 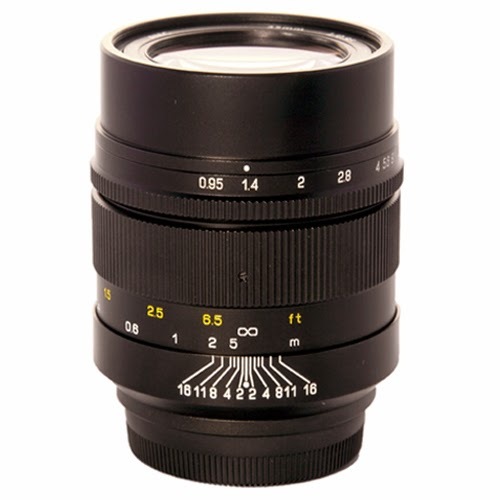 Reading the specifications, it improves upon the first version of the lens in many ways: It is smaller in size, with a 58mm front lens thread, down from 67mm. Both ends of the aperture range are larger: f/3.5-5.6. And finally, the price is lower. I found the first version of the lens disappointing, so I would advice getting the newest. 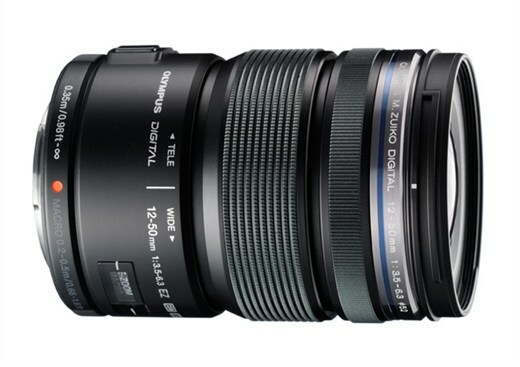 In the mean time, Panasonic has gained a lot of lens design experience, and I trust the second version is much better. 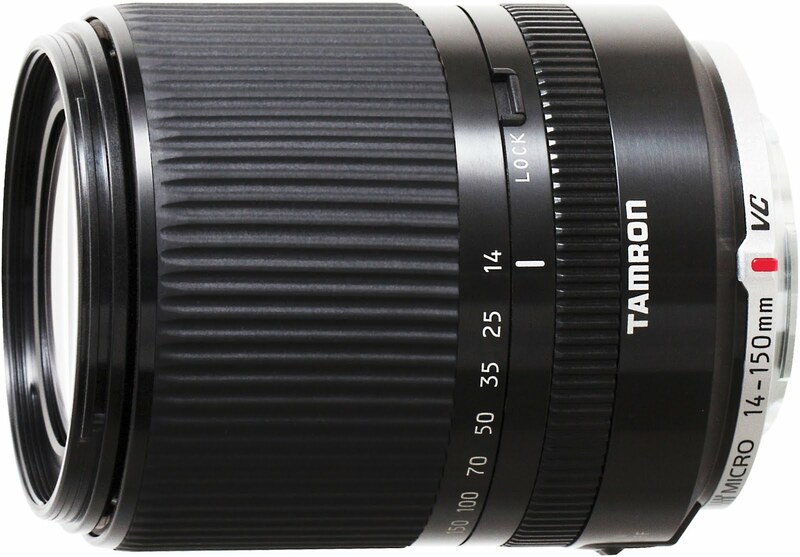 With the second version being cheaper, I think Tamron will find it more difficult to market their third party alternative, the Tamron 14-150mm F/3.5-5.8 Di III VC. The second version of this superzoom lens was launched early 2015, and has largely cosmetic changes from the original lens. It also came with a lower price tag, believe it or not. 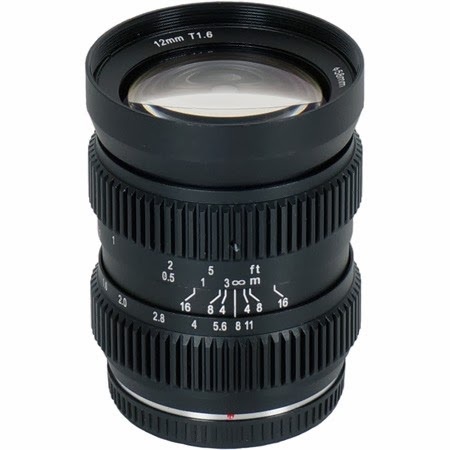 This lens is a good value for money at the new price, and it generally gets good reviews. If you'd like a one-lens-does-it-all travel lens that you can keep on your camera most of the time, and you have an Olympus camera, this is the lens to get. 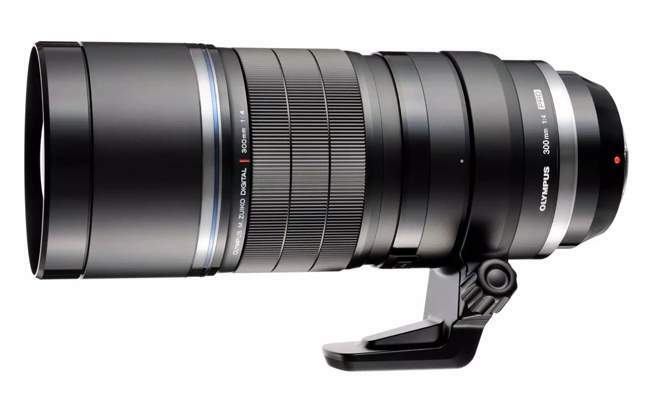 This superzoom lens was announced in 2013, and will be Tamron's first Micro Four Thirds lens. The lens was originally specified to have image stabilization, however, the production version skips this feature. The lens started appearing around the summer 2014. So far, it is getting mixed reviews. In October 2013, this new fast wide angle lens was announced. 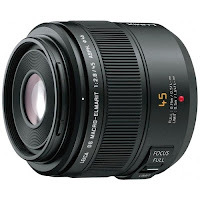 The lens is priced similarly to the Lumix Leica 25mm f/1.4 at US$600. 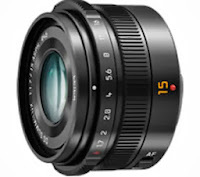 The new 15mm lens is the first Micro Four Thirds lens to feature an aperture ring. Of course, the aperture ring doesn't control the aperture mechanically. The aperture is still controlled electronically, like most other lenses. So the ring simply communicates the preferred aperture to the camera, which can set the lens aperture electronically through the mount. It is expected to be available early 2014. 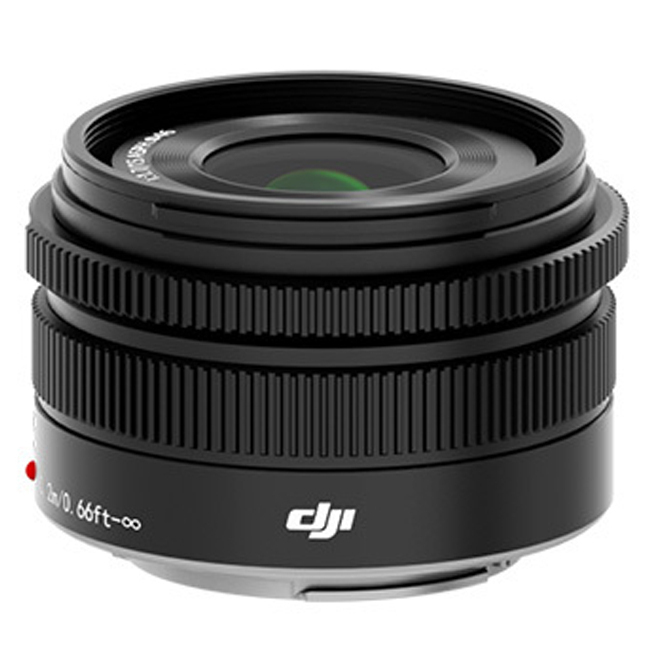 Drone maker DJI announced this lens in 2015 for use on their Micro Four Thirds drone mounted camera. 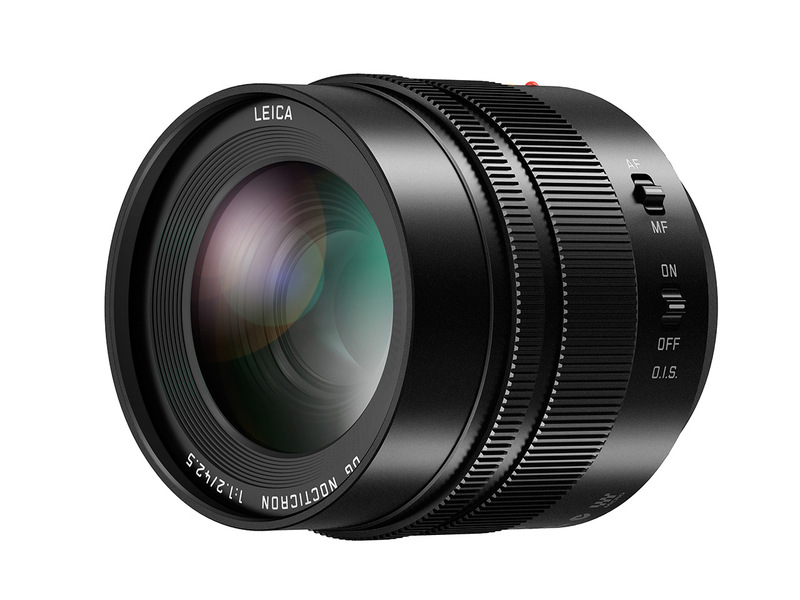 It looks a lot like the Leica 15mm f/1.7, and most likely, it is a rebranded version. This is more of a novelty than a useful lens, in my opinion. It is a very compact 15mm lens, with a fixed aperture of f/8. This means that it can only be used outdoors, or indoors with a flash at a short range. There is no autofocus, however, with a small aperture of f/8, the depth of focus is quite large anyway. There is a possibility to change between "far" and "near" focus, which is enough at this aperture. No information is transferred between the lens and the camera. If you are using an Olympus camera, you need to manually set the focal length to 15mm for the In Body Image Stabilization (IBIS) to function. You must also enable the "shoot without lens" option for the camera to operate when using this lens. This lens has been designed to be used on a host of formats, e.g., Canon EF, Nikon F (DX), Four Thirds and Micro Four Thirds. It is a manual focus lens, with a manual focus ring and a manual aperture ring. The lens is designed to cover an APS-C sensor, on which it becomes a quite wide lens (24mm equivalent). On Micro Four Thirds, the crop factor is larger (2x), and it only becomes a 32mm (equivalent) lens, i.e., a normal wide lens. Due to being designed for SLR cameras as well, with a longer register distance, the lens is quite large, requiring a complicated retrofocus design. Had it been designed for mirrorless cameras exclusively, it could have been much smaller, and presumably, less expensive. The lens was announced the summer 2013. 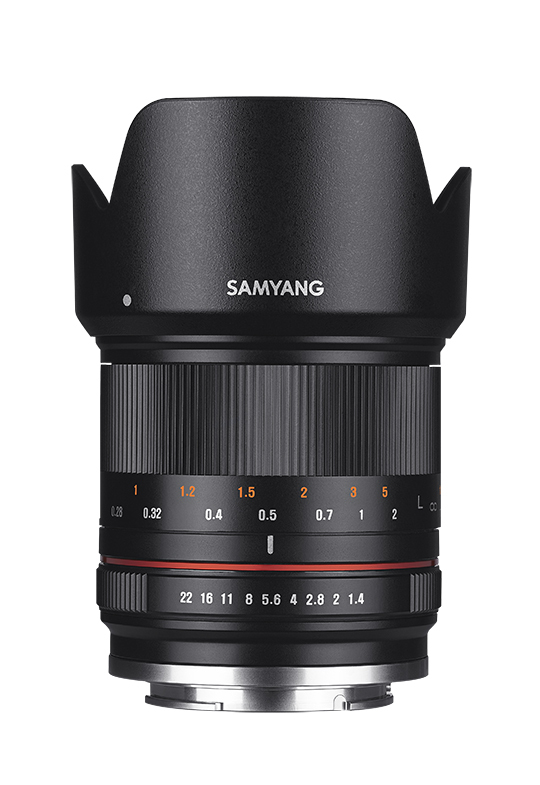 Exactly the same lens as the Samyang 16mm f/2 above, however, designed for video use with gear racks around the focus and aperture rings. This allows for using the lens in a rig with a motorized focus or aperture control, for smooth control. t/2.2 in the specifications refer to how much light is transmitted through it, while f/2 refers to the relative size of the aperture opening. The difference between the aperture stops f/2 and t/2.2 is the light lost inside the lens due to reflections. The lens was announced August 2013. A manual focus traditional wide angle lens. Both the focus ring and aperture ring are geared, for use on video recording rigs. The aperture ring is stopless, for more smooth transitions, useful for video recording. Pancake wide prime lens. For a prime, it has been criticized for having a not very impressive max aperture, and also somewhat disappointing sharpness. A premium prime lens in the classic wide angle format. 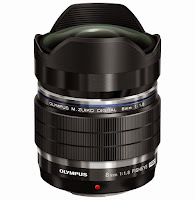 Corresponding to 34mm (equivalent) field of view, this is Olympus's take on the classic wide angle lens. While not as wide as the zoom lenses, this is a focal length favoured by quite some people. 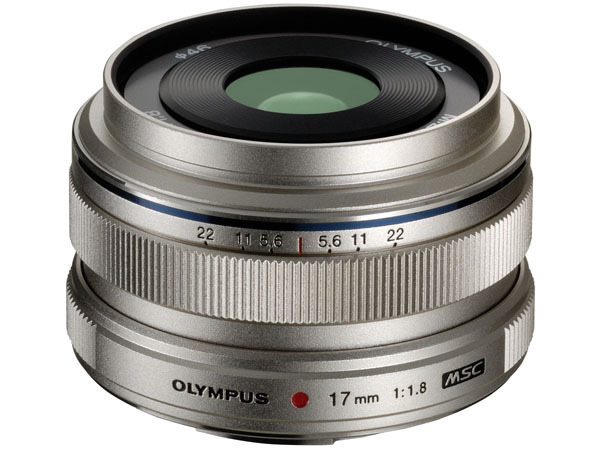 The lens comes in the premium metal finish, just like the Olympus 12mm f/2 and Olympus 75mm f/1.8. 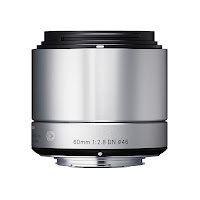 About this lens, people tend to say that it has a curved focus field. This means that the focus plane is not straight, but spherical. Hence, if you focus on infinity using a large aperture, the corners are going to be focused closed than infinity, usually causing them to be out of focus. This can also be an issue if you focus on a close object, and then reframe before taking the picture. Ultra bright lens with a very impressive maximum aperture of f/0.95. This is a mechanical construction with no electronics at all. Both the focus and the aperture is controlled through rings on the lens, in the traditional way. This lens has a clickless aperture ring, often liked by videographers, as it allows you to change the aperture smoothly. 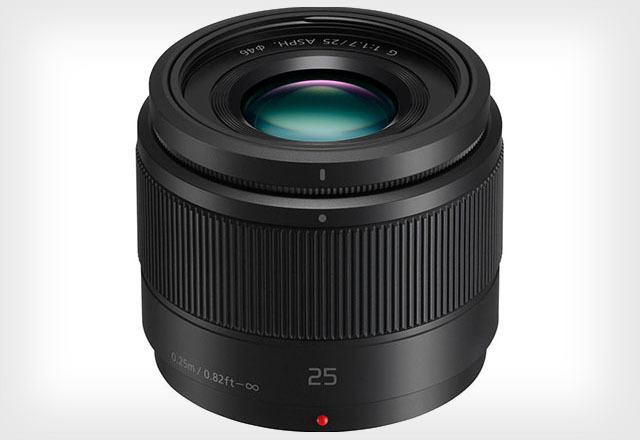 A third party lens from Sigma, giving nearly the same field of view as the Lumix G 20mm f/1.7. Compared with the Lumix 20mm lens, it is not as sharp, but focuses quicker, and is less expensive. Sharpness comparison with the Lumix G 20mm f/1.7 pancake. The focus speed is very good, compared with the Lumix G 20mm f/1.7. In 2013, a new version of the lens was launched. The difference is largely cosmetic, with the new version having a metal exterior. Pancake prime lens. 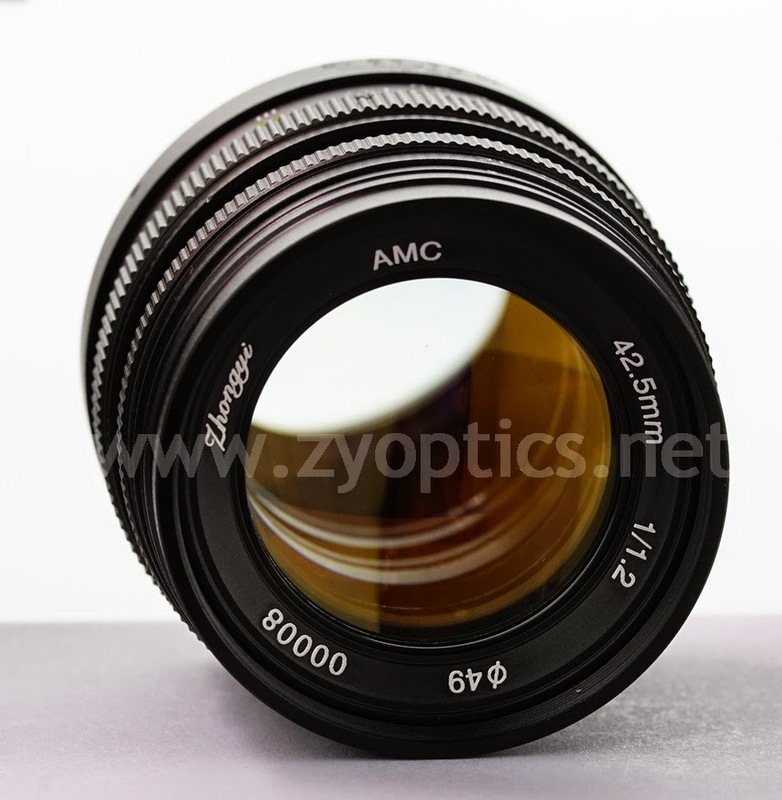 This lens has become very popular, with small its footprint, large aperture, and good sharpness. It does not come with a hood, but you can buy a third party 46mm screw in hood. 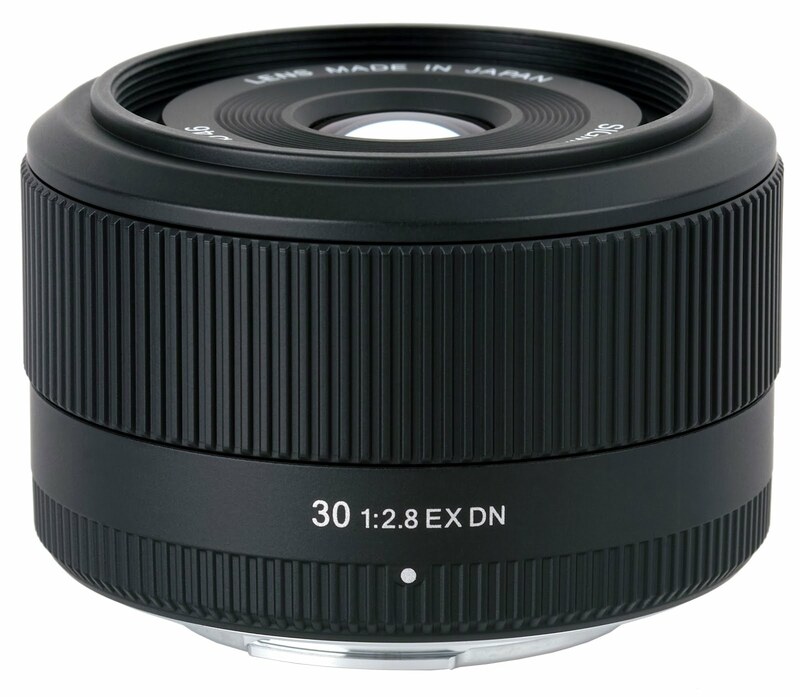 In the summer 2013, this lens was discontinued, and a new version of the lens, Lumix G 20mm f/1.7 II (H-HS020A) was released. The new version has the same basic specifications, and appears to have the same optical design. The exterior design is new, though, with a black or silver metal finish. As the new lens has the same optical design, it still has the old style focus assembly which moves all the lenses back and forth.Reports so far indicate that it has the same (slow) focus speed as the old lens, hence, the changes between the old and new version appears to be only cosmetic. When using this lens in combination with some recent sensor, e.g., GH3, Olympus E-M5, Olympus E-P5 and Olympus E-PL5, some users have reported horizontal banding in dark areas at high ISO. 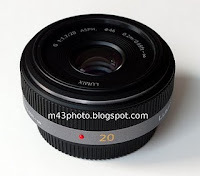 This appears to happen also with the new version of the lens, the Lumix G 20mm f/1.7 II (H-HS020A). 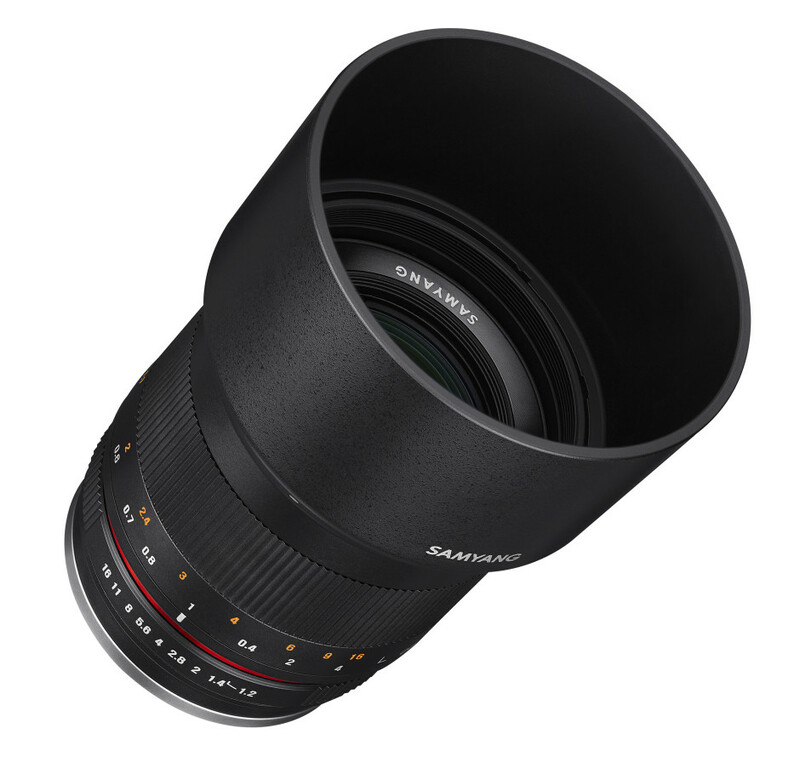 Samyang steps up making dedicated mirrorless lenses. This one is designed for Fujifilm X, Sony E, Canon EOS M, and Micro Four Thirds, and was launched in 2015. Designing it for mirrorless lenses, with a shorter register distance, makes it much more compact than their previous DSLR lenses. Announced in the autumn 2014, this lens is designed as a fast wide angle lens for APS-C cameras, made for the Sony E-mount and Fujifilm X-mount. It will also be available for the Micro Four Thirds format, where it becomes a typical normal lens, due to the larger crop factor of the Four Thirds format. It is expected to be available the winter 2014/2015, at a reasonable price of US$289. In the summer 2014, Japanese optical company Kowa will ship this fast, manual focusing normal lens. 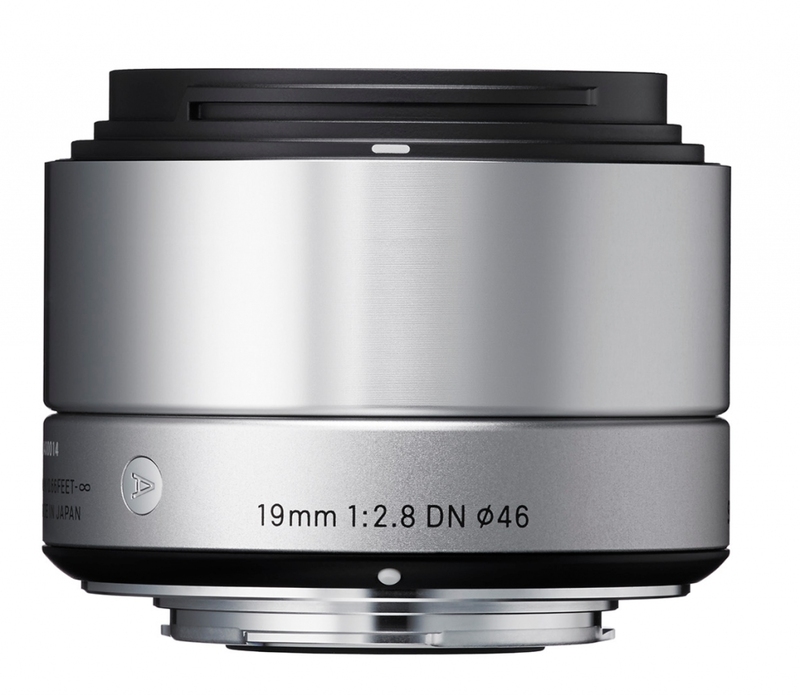 Somewhat surprisingly launched in September 2015, this will be the entry level normal lens from Panasonic. Expected to cost around US$250, it will still be more expensive than similarly fast normal lenses for mature DSLR formats. Fast normal prime lens. It is much more compact than the similarly specified lens for the Four Thirds format. A comparison of the bokeh of this lens with other lenses. Is it a portrait lens? Comparison with the Nikon 1 18.5mm f/1.8. When using the lens on a camera, some people complain that it makes "clicking" sounds. This is due to the large aperture: In bright light, the camera stops down the aperture for the optimal live view performance. When focusing, though, it will revert to the maximum aperture for the highest accuracy. The aperture change causes the clicking sounds, and this is harmless. 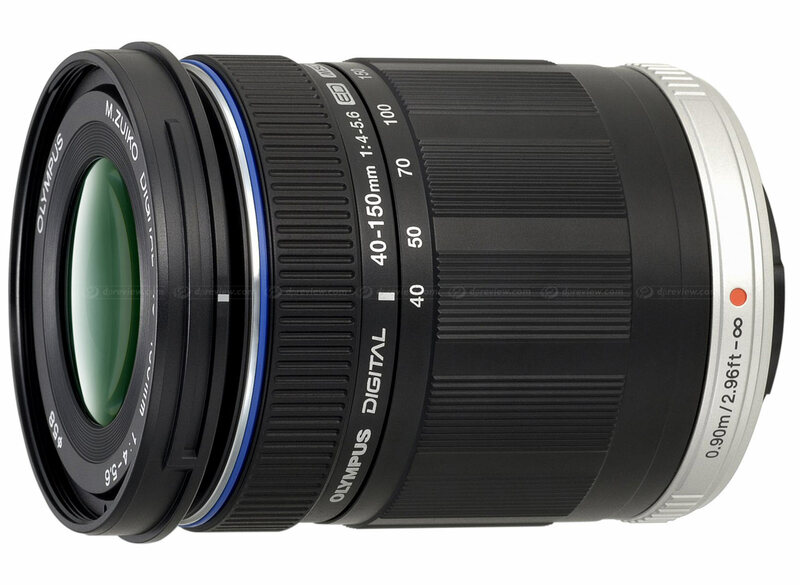 Announced in January 2014, this is Olympus's take on the standard fast normal lens. 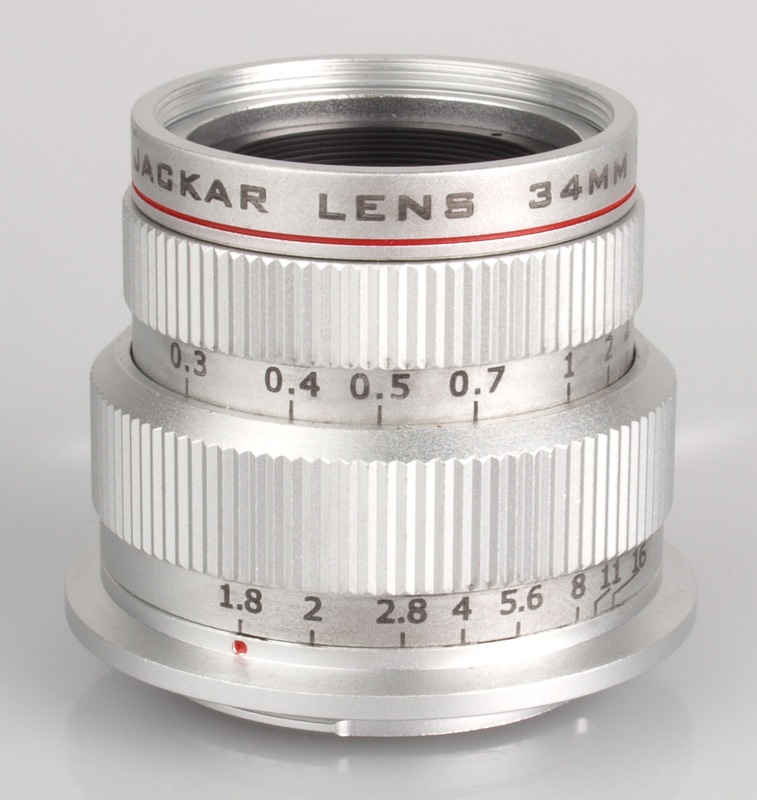 It is not as fast as the Leica 25mm f/1.4, but it is significantly smaller, and somewhat less expensive. If size is important for you, you could consider this lens. Otherwise, I would recommend the Leica 25mm f/1.4 as it isn't much more expensive. Ultra fast normal lens. This lens has manual focus and manual aperture selection only. There is no electronic contact between the lens and the camera, meaning that the camera cannot record the aperture used as EXIF information. The first version of this lens has click stops on the aperture ring. A second version was launched in 2014, doing away with the clicks, for better use during video recording. Launched in 2013, this lens is rumoured to be a good alternative to the Cosina Voigtländer Nokton lens with similar specifications. It is a very fast normal lens. This lens has manual focus and manual aperture selection only. There is no electronic contact between the lens and the camera, meaning that the camera cannot record the aperture used as EXIF information. The "Cine" part of the name indicates that it has geared aperture and focus rings, and, further, that it has a clickless aperture ring. 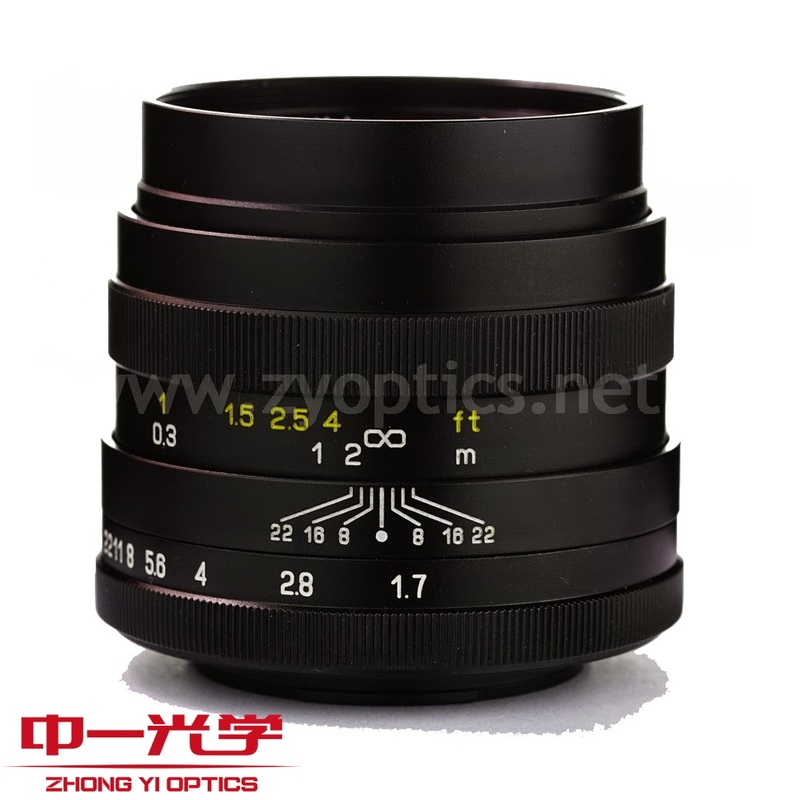 The "T/0.95" specification refers to the light transmission, commonly used for cinema lenses. Normally, the light gathering capability is given with an f-number, indication the relationship between the aperture opening and the focal length. The T-specification takes the light loss inside the lens into consideration, hence, the aperture of this lens is probably around f/0.90. 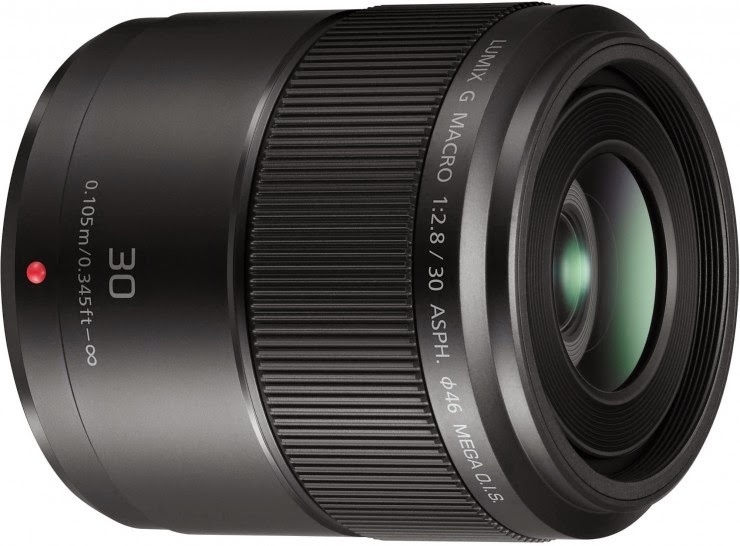 In February 2015, Panasonic announced this macro lens. It was not a complete surprise, they had previously suggested such a lens was coming. The lens features optical image stabilization, good to have when using the lens on Panasonic cameras. A short tele lens in a compact and light package. Good image quality and fast autofocus. Note that this lens rattles when not in use on a camera. Sharpness comparison with other lenses at 30mm. In 2013, a new version of the lens was launched. The difference is largely cosmetic, with the new version having a metal exterior. The new version also gains a hood. A compact prime lens with a nostalgic retro design, and a relatively fast maximum aperture. 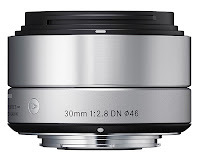 The lens was designed for both the Sony NEX E-mount and Micro Four Thirds. On Sony NEX, it has an equivalent focal length of around 50mm, corresponding to the classic normal lens. On Micro Four Thirds, it has an equivalent focal length of 68mm, i.e., a short tele lens. It can be used, e.g., as a portrait lens. The aperture ring is clickless, which is useful for video recording. 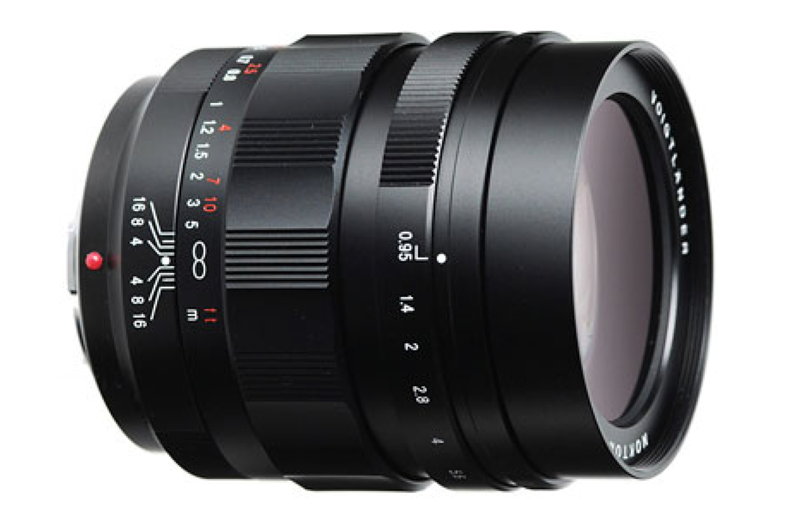 Meyer Görlitz brings this high end manual focus lens. 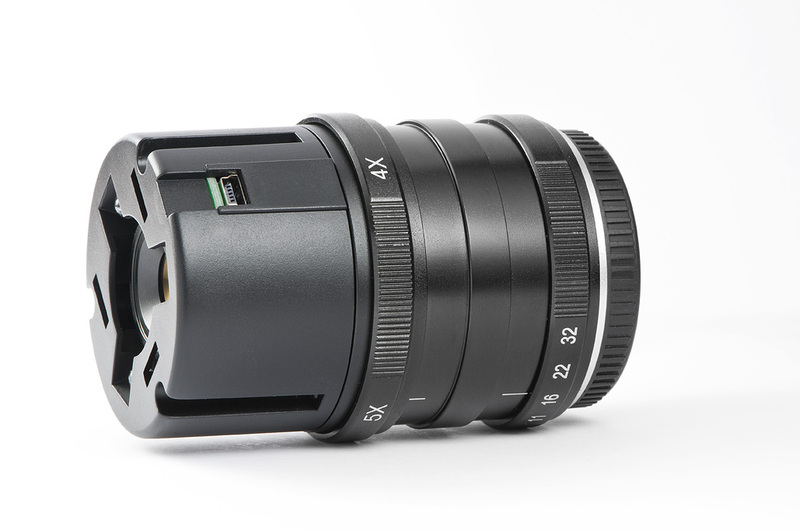 Launched in 2015, it is designed for use on APS-C sensors, but also comes with a Micro Four Thirds mount. This is a rather expensive lens, at around US$2000. This ultra large aperture lens was designed for APS-C mirrorless cameras, like Sony E mount, and Fujifilm X mount. 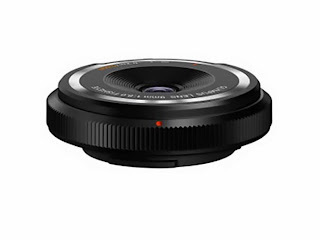 It also comes with the Micro Four Thirds mount, in which is becomes a slightly short portrait lens. 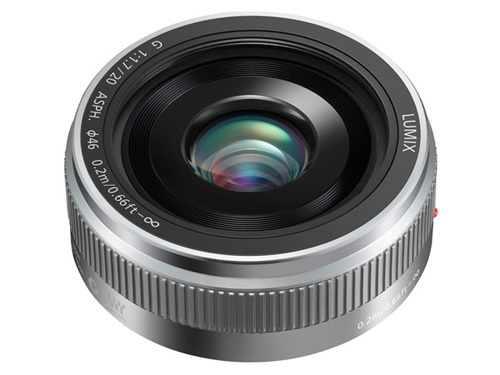 Lumix G 35-100mm f/4-5.6 Mega O.I.S. Lumix G X 35-100mm f/2.8 Power O.I.S. Announced in 2012, this is Panasonic's answer to the professional fast telezoom. Just like the Lumix X 12-35mm f/2.8, it is weather protected. 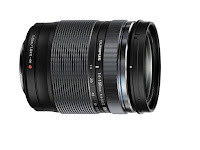 This lens is considered to be one of the best in the Micro Four Thirds lineup. Then again, it is also one of the most expensive lenses. It has internal focusing and zooming, and hence, always retains the same shape. A comparison with the Sigma 60mm f/2.8. This lens is expected to go on sale in February 2014. It will be available in Sony NEX, Fuji X, Canon EOS M and Micro Four Thirds mounts. The price is expected to be just above US$2000. According to the marketing, the lens is the fastest in the world, which is certainly not bad. Compact tele zoom available October 2010. This lens exists in two versions, and the last one has the postfix "R". That is the one you want. Even if this lens has very basic specifications, it is widely considered to be very good value for money, offering good image quality at a low price. It is also very small and light. 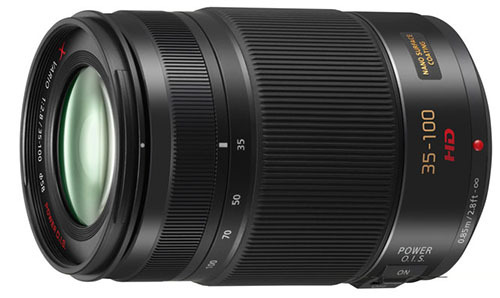 After being anticipated for a long time, this lens was finally announced on September 15th, 2014. In this official announcement, the price was given, US$1500, which is not too bad. The lens is mostly useful on Olympus cameras, given that it does not have any optical image stabilization. The size of the lens is perhaps unexpectedly large, being 60% longer and 150% heavier than the competing Lumix X 35-100mm f/2.8 from Panasonic. Of course, the Olympus lens also has a 50% longer focal length, and a wider zoom range, which is very useful. Like the other PRO rated lenses, this one is "weatherproofed", meaning that you can bring it out even if it rains, but you cannot submerge it, of course. It is also dustproof and freezeproof. To get the most out of the lens, especially in terms of environment protection, it is best to combine it with the Olympus OM-D E-M1 camera. 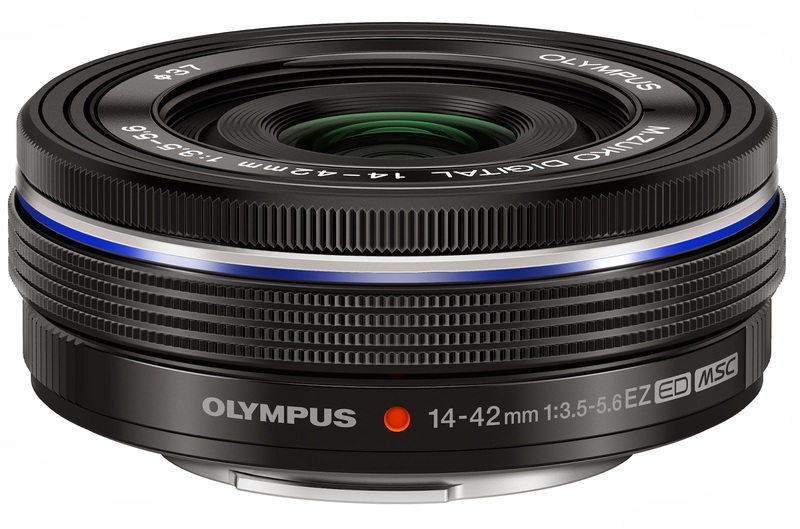 Olympus also announced the very first tele converter for Micro Four Thirds, the MC14. When using it on the 40-150mm lens, it becomes a 56-210mm f/4 lens. Released together with the Kodak S-1 Micro Four Thirds mirrorless camera, it can be gotten with their twin kit option. The twin kit option, containing also the 12-45mm f/3.5-6.3 standard zoom lens, is expected to cost US$500. 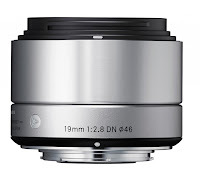 Somewhat surprisingly, Panasonic launched this lens in February 2015. 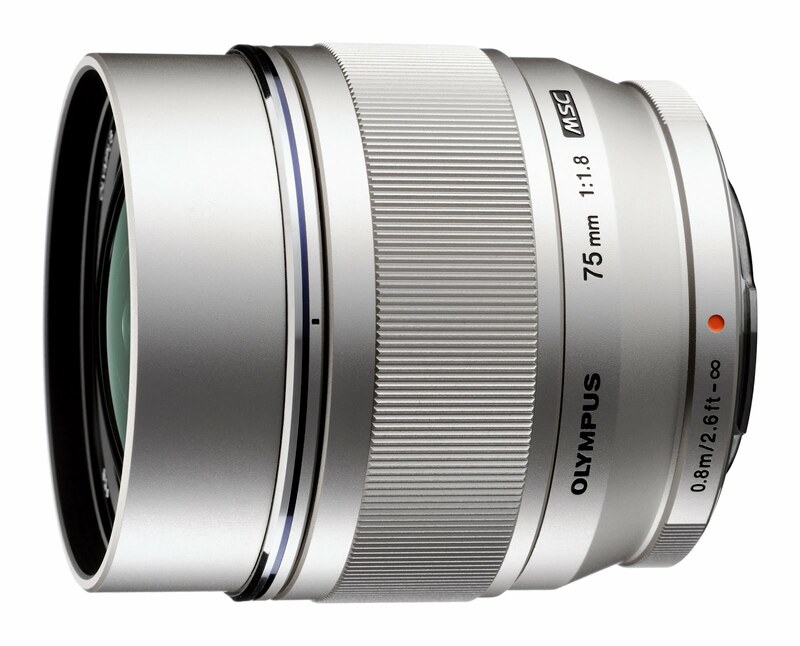 It will be a lower end portrait lens, to go head to head against the Olympus 45mm f/1.8. 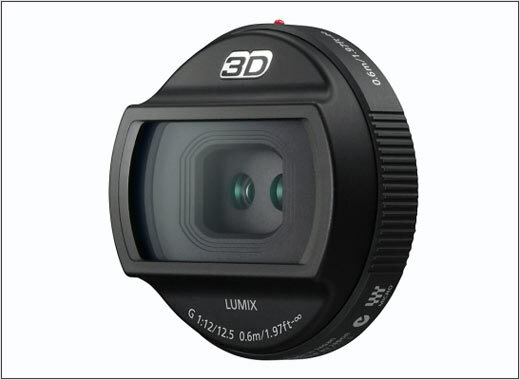 The lens features optical image stabilization, good for use on Panasonic cameras. This lens intends to introduce a high end portrait lens for the Micro Four Thirds format, and was announced in August 2013. It is expected to be available in the shops in December 2013. The very large maximum aperture of f/1.2 allows you to get a very selective focus, and blur the background effectively when photographing people. Currently, this lens is the fastest autofocus lens for the Micro Four Thirds system, and also the fastest lens to feature OIS. The lens is co-branded with Leica, and will probably sell at a high price. It is fairly large, with a front lens thread diameter of 67mm. It has an aperture ring around the lens barrel. 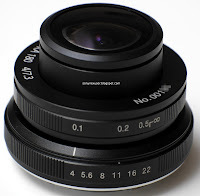 Mitakon is known for making one of the focal length reducer adapters, the lens turbo. This item allows you to mount a legacy Nikon F lens to a Micro Four Thirds camera, while retaining about the same field of view, and boosting the aperture. Here, they have announced a fast portrait lens for Micro Four Thirds. The lens design is also going to be available for Sony E-mount and Fujifilm X-mount. The pricing is expected to be USD$ 359, which is quite affordable for such a fast lens. Expected availability is the winter 2014/2015. 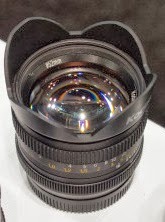 A large aperture portrait lens, announced in 2013. It is a completely mechanical lens, with manual focus and manual aperture control. A long awaited portrait lens for the Micro Four Thirds format. This lens is good optically, although not the sharpest wide open. It focuses very quickly, and inaudibly. Leica co-branded combination of macro and portrait lens. The Leica name stands for a high price point, but also good quality. 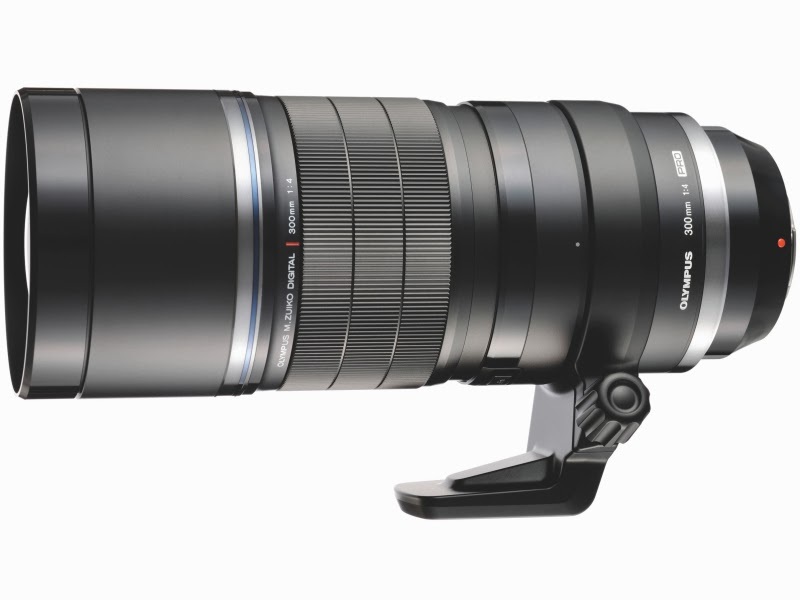 Announced in 2012, I guess this lens will replace the Panasonic Lumix G 45-200mm f/4-5.6 as the value tele zoom lens. It is much more compact, slightly shorter than the Panasonic Lumix X 45-175mm f/4-5.6. Choose this lens if you prefer a compact lens over a large focal range. 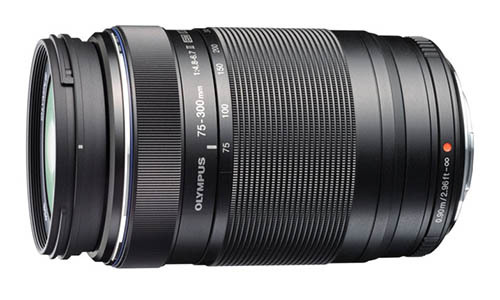 The 45-150mm lens is widely regarded as having a good image quality. A compact tele zoom for the Micro Four Thirds system. This belongs to the premium "X" range, and features power zoom. The power zoom can be operated with the zoom ring (zoom by wire), or with the zoom lever. There is no mechanical coupling between the zoom ring and the actual zooming. A fairly compact tele zoom for the Micro Four Thirds system. 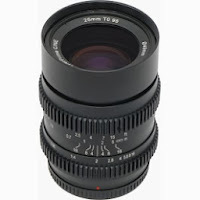 This lens provides good value for money, especially for Panasonic camera users who will want O.I.S. in the lens. 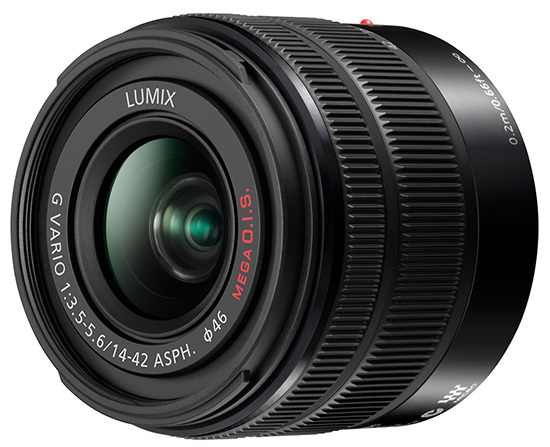 The lens was released as one of the first in the Panasonic Micro Four Thirds lineup. I has since been complemented with the Power Zoom Lumix X 45-175mm f/4-5.6, and the more compact Lumix G 45-150mm f/4-5.6. Choose this lens for a value tele zoom with a long reach. An expensive, but fast manual focusing tele lens. It can be used for, e.g., portrait photography. This lens allows both tilting and shifting. It appears to be useful, with a maximum tilt of +/- 8°, and a maximum shift of 11mm. The lens can be rotated 360°, so that the shift can be applied in any direction. On the negative side, though, the focal length of 50mm is quite long, and the lens would be difficult to use for architecture. You would need to get very far away from a building to be able to photograph it with a focal length of 50mm, often impossible due to narrow streets. Especially designed for mirrorless cameras with a short register distance, this lens is unusually compact and inexpensive for such an ultra fast lens. A macro lens with similar enlargement capability as the Panasonic Leica DG Macro-Elmarit 45mm f/2.8 1:1 macro. The Olympus lens has a longer focal length, hence, you get a longer working distance, the distance from the front of your lens to the subject. 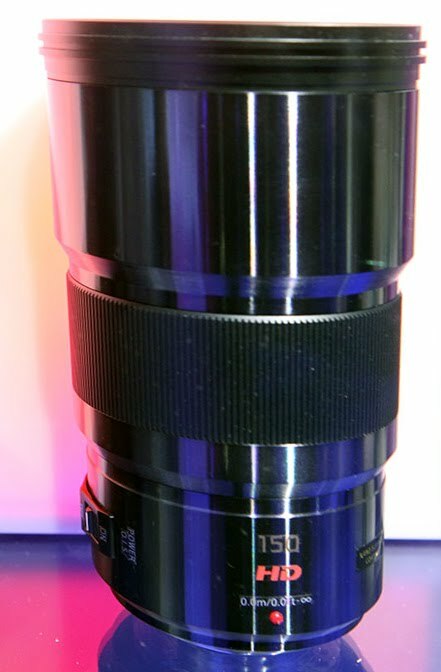 A medium long tele prime lens. It has good sharpness, and a smooth bokeh, which is important for a lens like this. The lens can be used, e.g., as a portrait lens. At portrait distance (about 1-2m distance), you get a quite good selective focus and background blur, even with a moderate f/2.8 aperture. A comparison with the Lumix X 35-100mm f/2.8 at 60mm. A high end medium tele prime lens, also usable as a portrait lens. This lens is widely considered one of the best Micro Four Thirds lens in terms of optical properties. On the other hand, one can say that it is a bit unfair to compare lenses like this, since it is relatively easier to design a medium long lens than a wide angle lens. 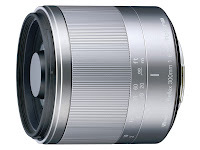 Some patent details have emerged, which indicate that this lens was probably designed by Sigma. It is not uncommon that third party producers design lenses also for major lens producers. A compact, premium long tele zoom. On the positive side, it is very small, and has some exotic lens elements. On the negative side, the aperture range is not very impressive. In 2013, a new version of the lens was launched. 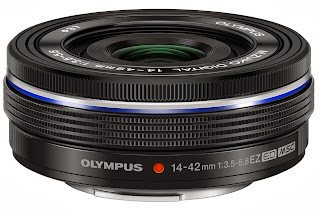 The difference is largely the design of the lens barrel, which now better matches the Olympus OM-D E-M5 camera. The optical design is the same, and the new lens comes at a significantly lower price. This is a long tele zoom. Typical uses for this lens would be sports and wildlife. Compared with professional safari lenses, though, it has a somewhat small maximum aperture. 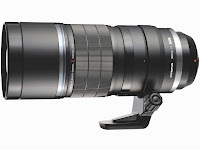 Leica Lumix G 100-400mm f/4-6.3 Power O.I.S. Panasonic updated their long tele zoom early 2016, with this Leica branded, high end lens. This is an expensive lens, but the price point is fairly common for ultra long zooms like this. Typical uses for such a lens would be birds and wildlife, safari, sports, and so on. 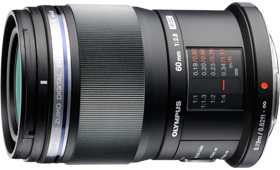 Early 2016, Olympus released this lens for the most demanding tele users. It has a quite fast f/4 aperture, and is weather protected. Unusual for an Olympus lens, it also features image stabilization (I.S.). This makes it better to use also on Panasonic cameras. When used on newer Olympus cameras, it will operate in a hybrid mode, using both lens based image stabilization, as well as the sensor shift in-camera image stabilization. 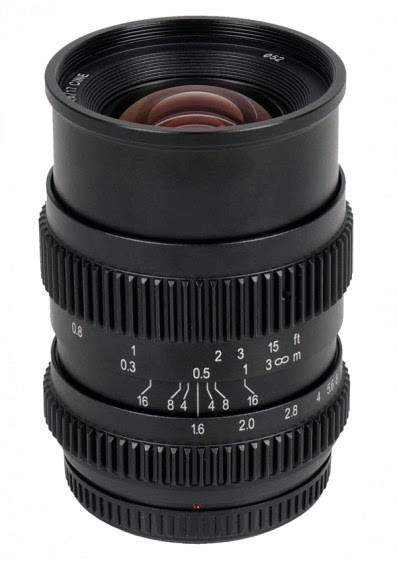 This lens was launched in 2012, and is a mirror reflex tele lens (catadioptric). The advantage of this design is that it keeps the lens relatively short, for a tele lens of this focal length. The lens does not have autofocus, and there is no optical image stabilization. Focusing manually with a lens like this can be somewhat difficult, and requires exercise. Also, with such a long lens, using a tripod is pretty much a necessity. Sure, you could use a fast shutter speed and get images without motion blur. But framing the image correctly is not easy without a tripod at 300mm. Due to the mirror reflex design, out of focus highlights become donuts when using this lens, rather than the discs you might be used to. Also, it tends to lose a lot of contrast when the background is bright, e.g., against a bright sky. 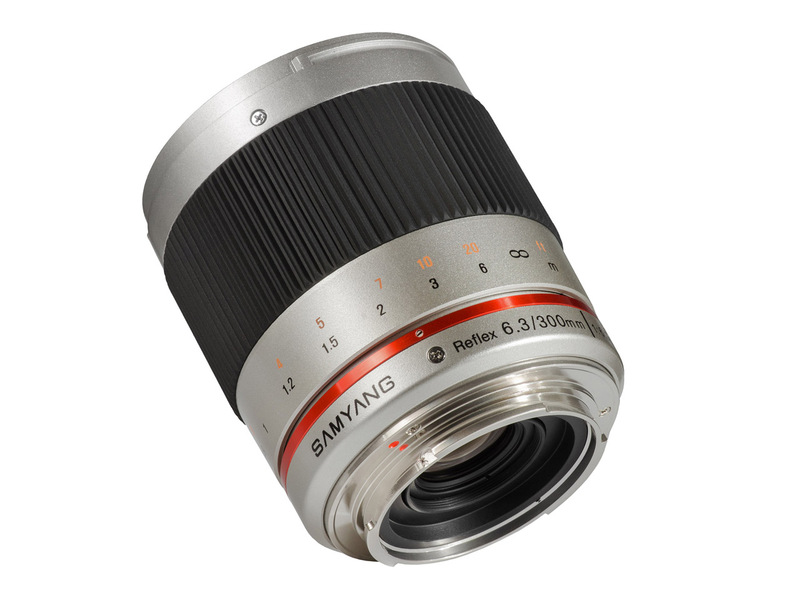 In the summer 2013, Samyang announced that they would release their 300m f/6.3 mirror reflex tele lens. 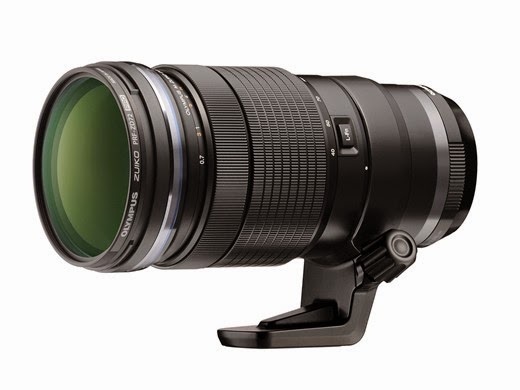 It has similar specifications as the Tokina 300mm f/6.3, but is somewhat larger and heavier. Probably because the Samyang lens is designed for the larger APS-C sensor format, to be released also for Sony NEX, Canon EOS M, and Fujifilm X. While I certainly respect Samyang for the lenses they have made so far, I think there are so many inherent issues with a reflex lens that they can probably not make something significantly better than the existing Tokina 300mm f/6.3, my review here. Just like the Tokina lens, this one is manual focus, and does not have any aperture ring, let alone any aperture mechanism at all. You only have f/6.3 available. 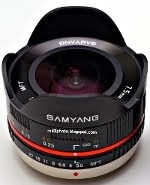 Unlike the Tokina lens, though, the Samyang does not have any electrical contacts. So it cannot communicate the aperture, focal length or focus distance information to the camera, like the Tokina lens does. 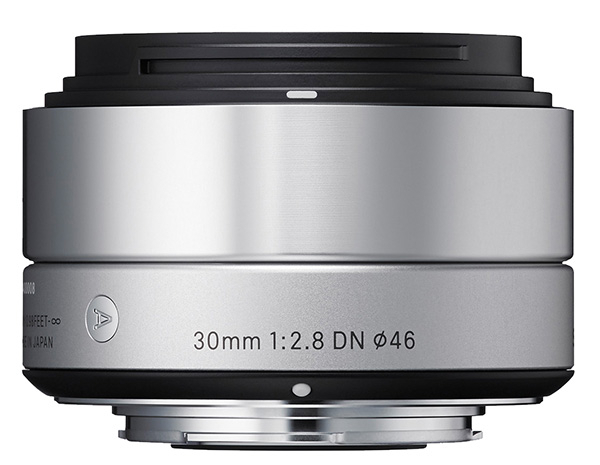 Announced September 2014, this is the longest native mirror lens for Micro Four Thirds yet. It has a very impressive minimum focus distance of 1.25m, which gives a maximum of 1:2.5 magnification. The optical design is made with a number of formats in mind, and the lens is available with Nikon F, Pentax K, Fujifilm X, and many other mounts. As the lens is designed for an APS-C image circle, it is larger than what would have been needed. If you are interested in this lens, I would advice to get it in a legacy mount like Nikon F, and then use it with an adapter. That way, the lens is more flexible, and you can use it with any mirrorless camera later, with the appropriate mount. This is a very unusual lens. It has a magnification rate adjustable from x4 to x5. What this means, is that it can take pictures of subjects with a size from 1/4 to 1/5 of the sensor diagonal. This corresponds to around 4mm x 3mm, which is extremely small. Many macro lenses can also be used as portrait lenses, given a fairly long focal length. Not this lens. The minimum magnification is 4x, which is a lot. Hence, you can only take pictures of very small items. The working distance is rather small, around 11mm from the front lens. What this means, is that you can hardly use this lens to take pictures of live insects: You would scare them off before getting close enough. There are LEDs in the front of the lens, to aid lightning the objects you want to photograph. The max aperture is f/11, and you can also use f/22 and f/32. This might sound very unimpressive. However, keep in mind that at these extreme magnifications, you must stop down a lot anyway, to be able to get almost anything in focus. So f/11 makes good sense. If you need an extreme close up lens, this is a very good choice. There are few lenses on the market like it. One lens that comes to my mind is the Canon MP-E 65mm, which is a 1x-5x macro lens. 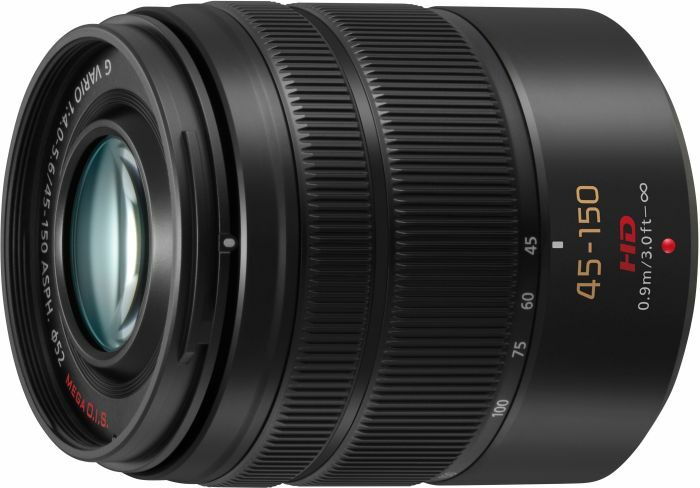 The Micro Four Thirds lens lineup has gotten very good now. One could still want some more lenses. For example, a compact, inexpensive ultra wide prime lens would be good. Say, something like 10mm f/4.5 or thereabouts. 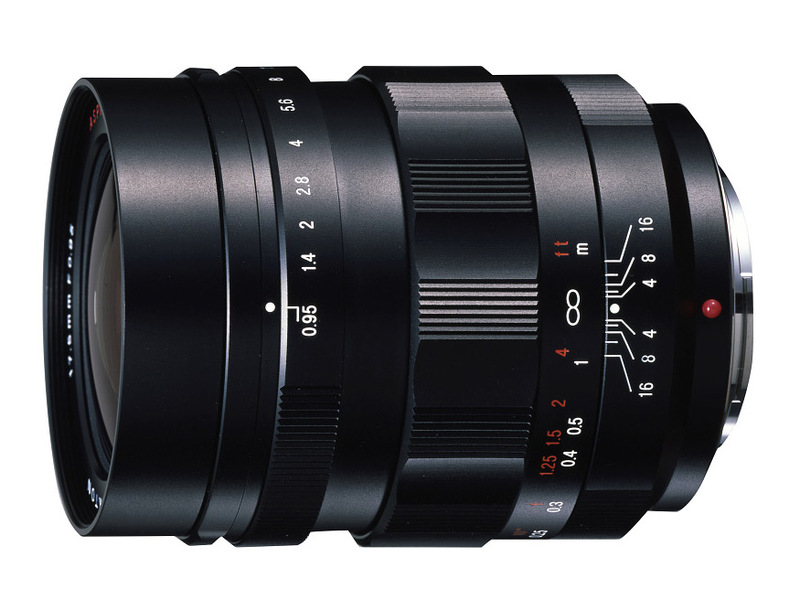 If such a lens could be priced at around US$300, then it would be a game changer for the mirrorless camera market. There are too few standard zooms that start wider than 14mm. So far, there is only the Olympus 12-50mm f/3.5-6.3, and the Lumix X 12.35mm f/2.8. Also, a fast, long tele prime lens would be useful. For example, something like 300mm f/4 with image stabilization. A circular fisheye lens could have been fun. Such a lens would probably have a focal length of around 4mm. This is a graphical presentation of the Micro Four Thirds prime (non-zoom) lenses. As you can see, the zoom lenses often have a smaller maximum aperture than the prime lenses. This is one of the reason why some people like prime lenses. Also, you can note that the Lumix G 14-42mm and the more compact Lumix X 14-42mm share the same end-points in terms of aperture range, but the more compact lens has a smaller available aperture inside the range. I have written about this phenomenon here. 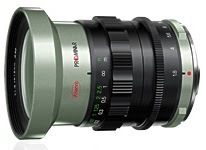 Read more about the prime lens overview here. 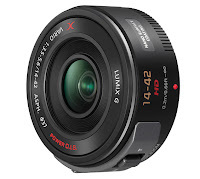 Yasuhara have announced that this circular fisheye lens will be released for Micro Four Thirds. However, I don't believe it will be. The reason is simple: It has an image circle diameter of 15.1mm, way larger than the vertical size of the Four Thirds sensor. So the lens works fine on an APS-C sensor, but not on Four Thirds. Read my review of the lens for Sony NEX here. The only circular fisheye lens that I know about which has an image circle suitable for the Four Thirds sensor is the Sigma 4.5mm f/2.8 EX DC. It can be used on Micro Four Thirds with an adaptor. A long and fast tele lens. 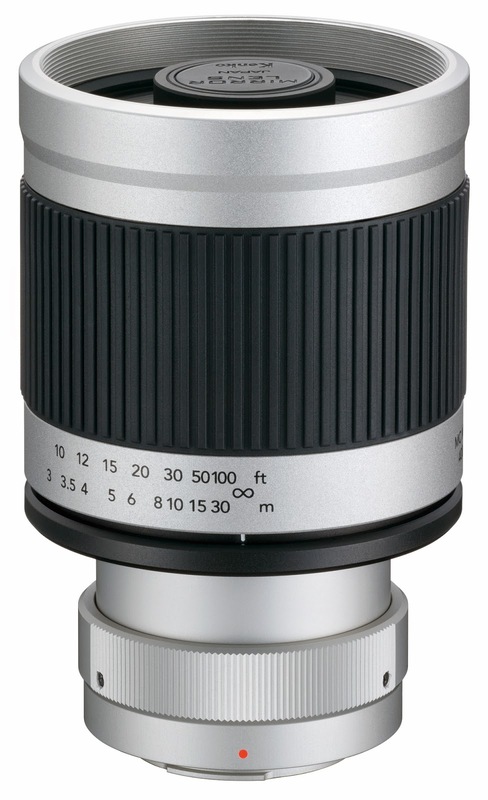 This lens type is suitable for, e.g., safari, bird and sports photography. 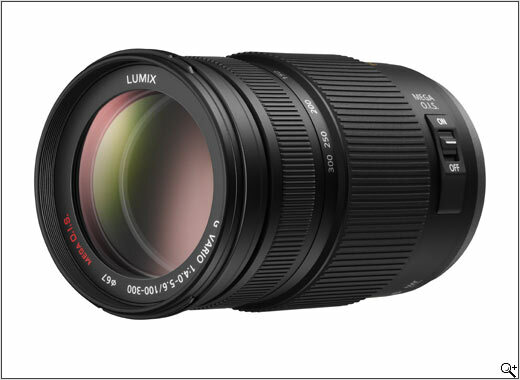 The lens has been announced by Panasonic, originally expected to be available in 2014, first quarter. It will feature OIS, and will probably be very expensive. As of October 2013, the lens has been removed from the roadmap, and perhaps it will not be produced anyway. This makes some sense, given that Olympus has the 40-150mm f/2.8 in the pipeline, with an overlapping focal length and the same aperture. The Micro Four Thirds lens lineup lacks a high quality long lens, and here it is. 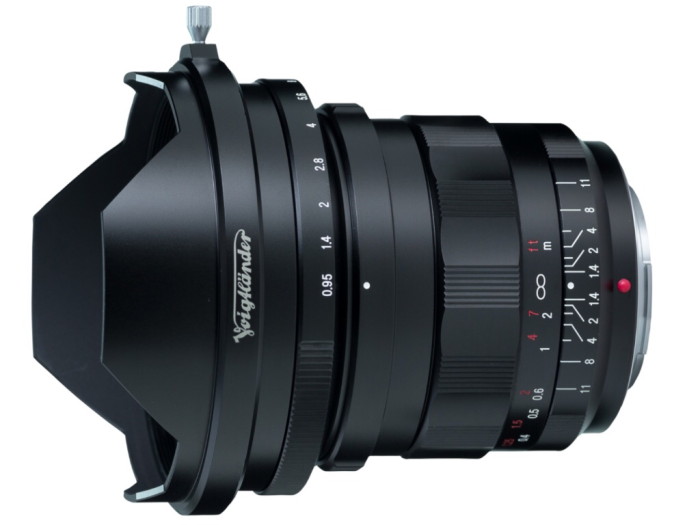 Olympus is going to release it in November 2015, so you'll still have to wait, though. The lens is PRO rated, meaning that it is weather protected, and will be expensive. This type of lens is frequently used by bird and wildlife photographers, and spectator sports photographers. 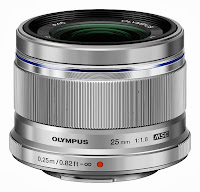 It seems that it will be made with optical image stabilization (OIS), which is unusual for Olympus lenses. But it will make it a better option for Panasonic camera users. Sakar has announced that they intend to launch Kodak branded 8mm f/3.0 fisheye lens. 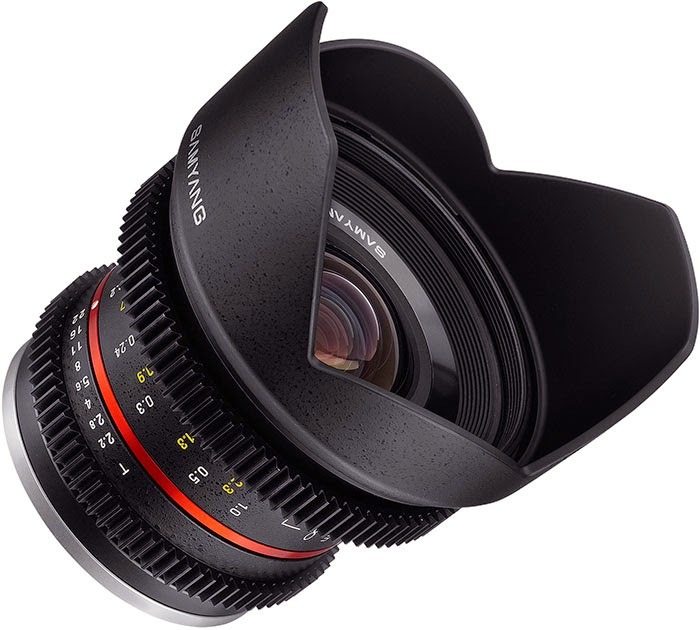 Based on the picture, it has a petal shaped built in hood, and hence, it is most likely a full frame fisheye. Another Kodak branded lens announced by Sakar. It is expected to cost $400, which could be a nice price if the quality is good. The third Kodak branded Sakar lens. This one is a classic fast portrait lens. Given that this is a short tele, the choice of a short petal shaped hood is really strange. It doesn't look very professional, to say the least. The price is expected to be $400, which is an interesting price level. I must disagree that the 14mm would be more useful if it were a 12mm. Panasonic are - very intelligently I think - differentiating themselves by moving away from the traditional lengths, thus they release a 20mm (40mm equiv - close to the 'perfect' 42mm) rather than a 25mm (50 equiv). The traditional 'next lens down' is the 35mm, which like the 50mm I find a little long for the job of standard wide -it's neither here nor there. 28mm is perfect for shooting 2 people fairly close, as 42mm is perfect for one. I've always been frustrated that Canon don't make a high quality 28mm, and one has to choose 24mm or 35mm. 24mm is again, not wide enough for landscapes or architecture, but too wide to be useful for natural shots of people. Also, by making a 14mm rather than a 12mm they 'leave room' for another wider lens beneath that (see below). I consider a true landscape etc. lens to be 20mm and wider (again, Canon don't make a good one), so I'm keeping a close eye on Panasonic, as I imagine their next lens after the 14mm, will be a 9mm or 10mm as you wish for. That I think would give them a great line up at the wider end. 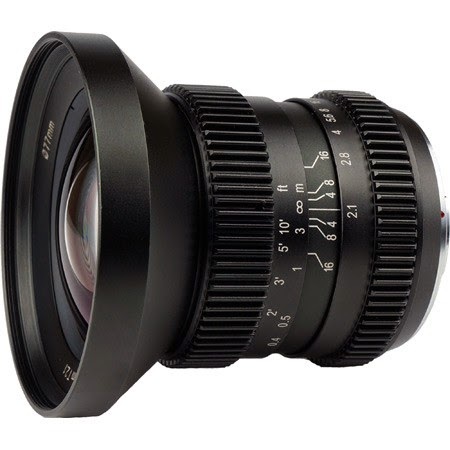 Also I think the main benefits of the 14mm will be quality and speed more than size. I hope! Yes, you are right that for general use, 28mm is probably more useful than 24mm. Perhaps I was just being misled by the "funky" nature of a wider lens. A lot of people are saying they'd rather 12mmm, but I'm definitely in the 14mm (i.e., 28mm) camp. I've been waiting for this lens for months, and still no announcement. What's the delay? When I was shooting film back in the 80s and 90s, 28mm on my Nikons was my standard lens. That field of view is how I see the world, at least photographically. I'm currently using the 14-45 on my GF1, but I'm going to ditch that as soon as this 14mm pancake hits the market. Small, (reasonably) fast... that's my kind of lens! Bring it on, please! Is the Leica 25mm, f/1.4 lens for m43 systems available in your area yet? I'm still waiting. People in Asia have already tried their hands at it. 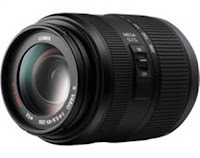 No, the 25mm f/1.4 lens is not yet available. From my point of view, it is not too interesting, as I think the Lumix 20mm f/1.7 essentially covers the same uses for me. I can see that the 25mm f/1.4 is better in some aspects: It has a larger max aperture, it has faster autofocus. On the other hand, it is larger and heavier, as well as more expensive. I wouldn't count on it being better optically, although it is probably very good. My Leica 25mm is on its way!!! After 3 months of waiting, finally, it will be arriving next week! Just in time for the holiday party snapshots! I got the Olympus 12mm after 'speaking' with you last time. Thank you again for your pointers. The Oly 12mm is definitely a keeper. Have been practising exclusively with it in the last two weeks. It's a very interesting experience to 'feel' the prime lenses of different focal lenths through practice. Before, it was the Nikkor 50mm, now the Oly 12mm, then it will be the Leica 25mm. So far, i still like the angle of view of the 50mm the best, but I understand one can't do it all and I need the others to cover all the bases. Still sorting out the photos, a much more strenuous process than I ever imagined. Little by little, I'm getting closer to have them ready to be shared. f1.4 from 35mm to 90mm would be nice, of course, but I value compact size more in this system. So I'd be happy with f2 or f1.7 if that means it will keep the size and weight down. Hmm. Perhaps also a 35mm f1.7, just to add a little quirky choice for people like me who are used to 35mm/75mm travelling combos on our film rangefinders. Cracking blog, loads of really useful info, clearly presented. I read your review of the Panasonic pancakes with interest. I am also considering buying the Olympus Zuiko Digital 25mm 1:2.8 Pancake Lens. However its not clear whether its micro four/third compatible. Also how does it compare against the Pansonics? 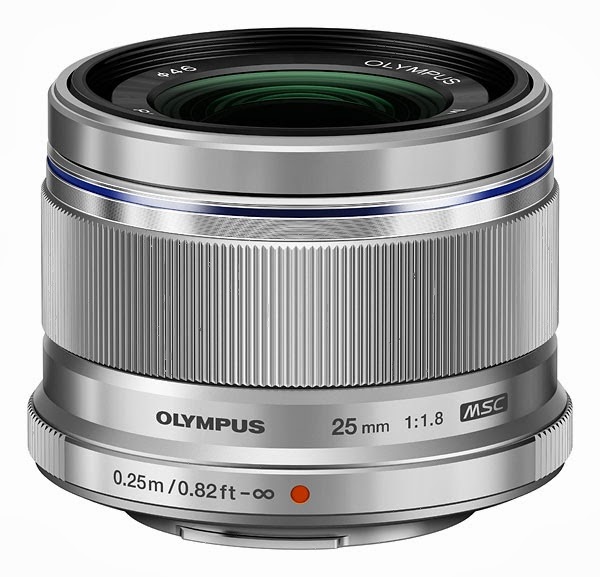 Yes, the Olympus 25mm f/2.8 is on the list of AF compatible lenses, so you can use it on a Micro Four Thirds camera. But you need an adapter, the Panasonic DMW-MA1, or Olympus MMF1/MMF2 (any of these will do). The autofocus will not be as fast as with genuine Micro Four Thirds lenses, but it works for still images. It would be really useful if Olympus would consider a weather-proof fast tele-zoom to go with the OM-D, something like 75-300 but with a usable f4 at the long end! Similarly, a weather-proof fast standard zoom is in order, as the 12-50mm is just too slow, and the rest of the line-up are not weather-proof! Forget the video features for once! Until such become available the appeal of a weather-proof system is very limited, and indeed the usage of micro43s for any (semi)serious fast action photography is nearly impossible. Hi, i'm wondering if anyone can help me. I've got a DMC-GF3, which comes with the kit lens H-FS014042. I'd like to get a macro converter lens, but the G series macro converter lens (DMW-GMC1) says it only fits on the H PS014042. I'm confused! 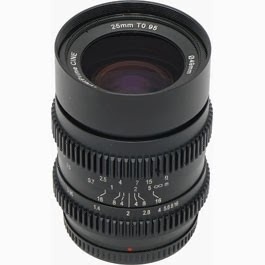 Does anyone know if it's possible to get any sort of macro conversion lens for my existing lens? Or some kind of adaptor? You could get a macro front lens that screws into the front lens threads. 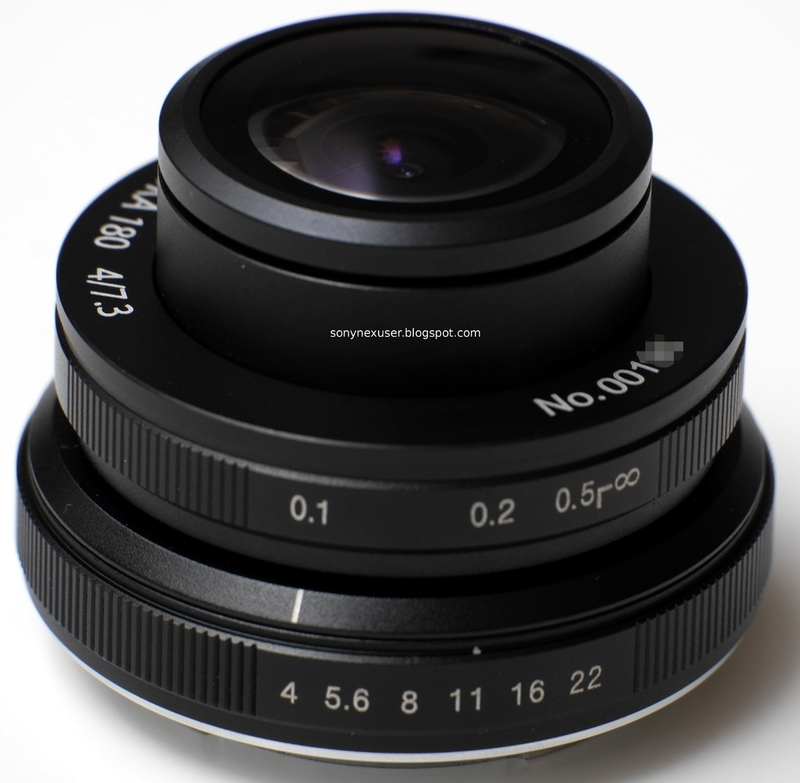 Your lens has 52mm lens threads, so do a search on ebay for "52mm macro close up filter". You could get any of these, note that +1 has the least close up effect, and +10 has the most. Probably, using the +10 is going to be most difficult, since it gives and immense close up effect. Go for +2 or +4 is my advice. Can you get a converter to use micro 4/3 lenses on a full size 4/3 camera? ie olympus e system cameras. No, that is not possible. The 4/3 system has the longer register distance, hence you cannot use M4/3 lenses on that system. I like the sample images im seeing from Nokton lenses in general. I was wondering if anyone has any comments/suggestions on this as opposed to the olympus 45mm F1.8. I realise I would loose all auto controls but i have the panasonic 20mm 1.7 for quick point and shoot stuff. 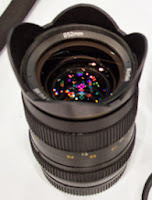 I want to use this lens for portrait stuff and when im trying to get a different look from many of the "digital" lenses out there. Personally, I would have gone for the Olympus 45mm f/1.8. I think that most of the time, this lens would give you better photos, due to the fast autofocus, and the overall good image quality. Hi, by any chance do you know which micro 4/3rds lenses have silent manual focusing? thanks! 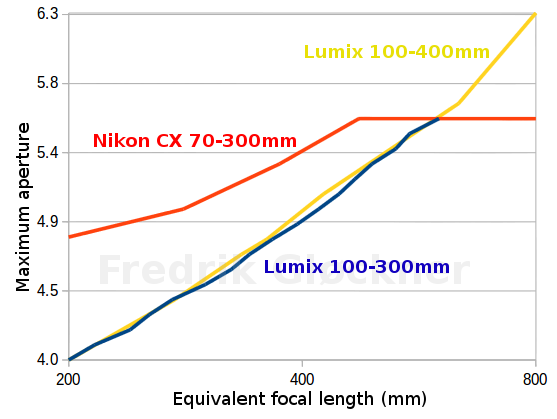 Focusing is very silent on virtually all the lenses, except for the Lumix G 20mm f/1.7 pancake, and possibly, the Lumix-Leica 45mm f/2.8 macro. Many of the lenses have motorized focus, though, the old style manual focus ring is rarely found these days. But focus noise is generally not a problem. Hi there, I have a GX1 and I am loving it. I have (LUMIX G 20/F1.7), (OLYMPUS M.45mm F1.8) and (LUMIX G VARIO 45-200/F4.0-5.6) and I would like to add a macro lens to the collection. I don't care about the cost, all I care about is performance. Which lens would you recommend? 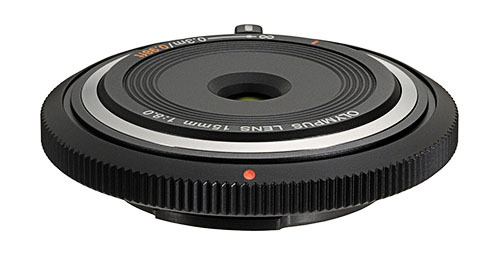 There are two macro lenses available, the Lumix-Leica 45mm f/2.8 and the Olympus 60mm f/2.8. Both provide the same maximum magnification, 1:1, which is enough for most uses. The Olympus has the advantage that it has the largest working distance, the distance between the subject and the camera. This is useful when photographing insects, for example, as you don't scare them off as easily. However, the difference is not a lot. 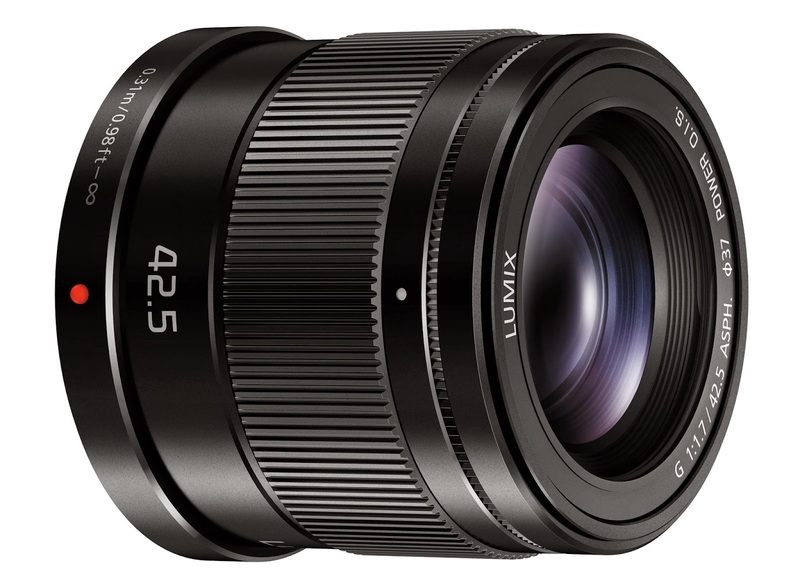 On the other hand, the Lumix 45mm has image stabilization, which is useful for you when using it on a Panasonic camera. If you plan to use the macro lens mostly with a tripod, then you don't need the OIS, and you could go for the Olympus 60mm f/2.8, as it gives you a new focal length to work with. You already have another 45mm lens. If, on the other hand, you don't plan to use a tripod, then you should go for the Lumix 45mm f/2.8 1:1 macro. Both are pretty much comparable in terms of image quality, as I understand. An used Olympus E-pl1 (body only) has been given to me as a present. I have ordered the adapter for the Pentax lenses I own, but what is the best normal AF prime in term of sharpeness and colour rendition I can buy for the camera? 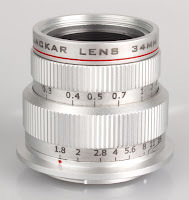 Well, there is only one single strictly normal AF prime lens, the Leica 25mm f/1.4. This is a very good lens. 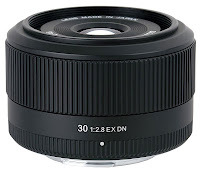 I also like the Sigma 30mm f/2.8 DN, which is much less expensive. I've just read at ThephoBlographer about an expected future lenses for the m4/3 format made by Sakar, Kodak branded. Would be nice for me if you add them to your section as this page is my usual reference page for m4/3 lenses. Thanks. I intend to keep the list complete, and added the lenses in the "upcoming lenses" section to the end. Any news from the Kodak/Sakar lenses yet? No, I haven't heard anything more. But Kodak has officially launched their S-1 camera and the two kit lenses, 12-45mm and 42.5-160mm. They were launched at CES 2014. It is JK Imaging which owns the brand name Kodak now. 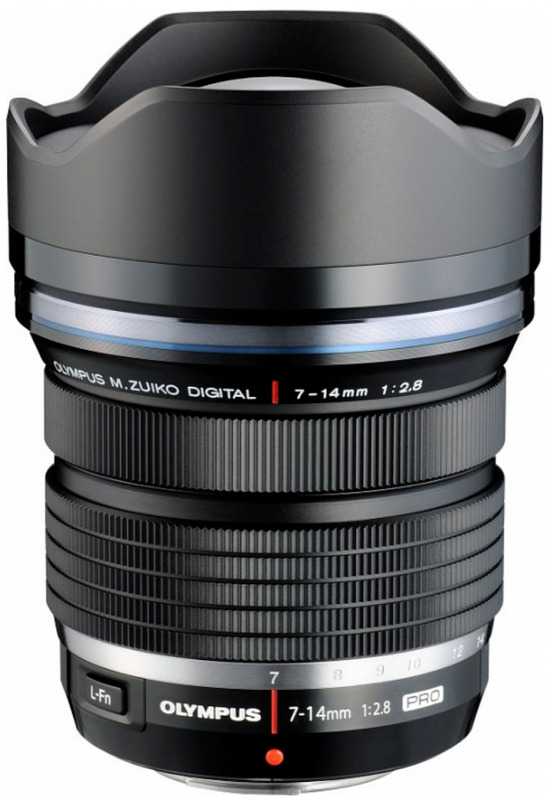 Not sure if anybody already mentioned it but for "Olympus M.Zuiko Digital ED 40-150mm f/4.0-5.6" you say - "This lens exists in several versions, and the last one has the postfix "II R". That is the one you want." There is no such iteration of this lens, just "R"
Thank you so much for keeping this list, by the way, this is _the_ go-to-site for keeping track over what is available for my MFT-mount. Thanks for helping me to keep the list complete! Much appreciated. 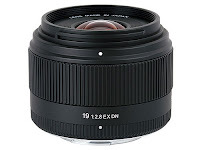 The SLR Magic 10mm T/2.1 looks quite useful, with the compact size and generous aperture. What ever I can do to help out! 12mm ships June 2015, the others will be available in January already. Thanks, I prefer to wait until the lenses are actually shipping before I add them to the list. Often, one see that a lens is announced, but never actually materializes. Any comment on the 42,5 mm f1.2 nocticron vs the new 42.5 mm f1.7? I don't think many have tried the new 42.5mm f/1.7 lens yet, so I wouldn't expect to find many reviews. Personally, I would choose the cheaper 42.5mm f/1.7, as it is much smaller and lighter, and probably performs very well.